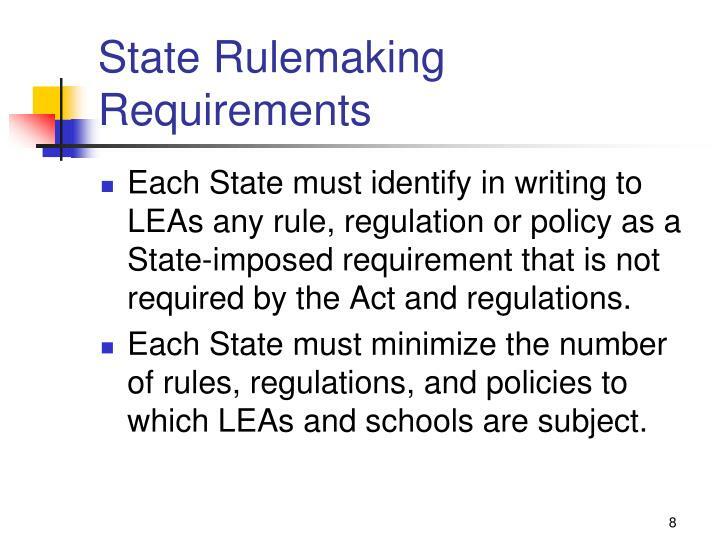 Each State must identify in writing to LEAs any rule, regulation or policy as a State-imposed requirement that is not required by the Act and regulations. 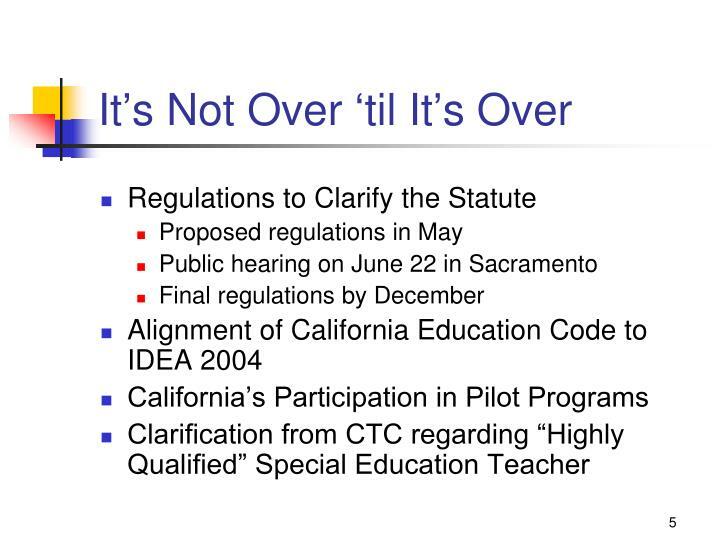 Each State must minimize the number of rules, regulations, and policies to which LEAs and schools are subject. 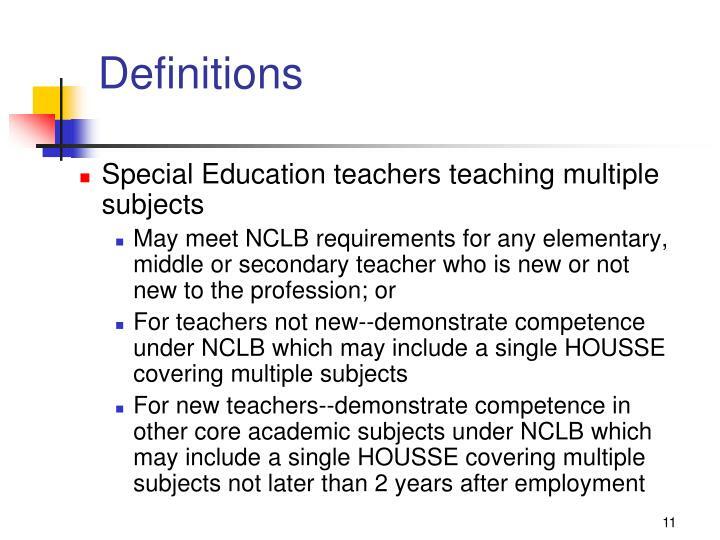 Meet NCLB requirements for elementary teacher, or for instruction above elementary level, has appropriate subject matter knowledge as determined by the State. 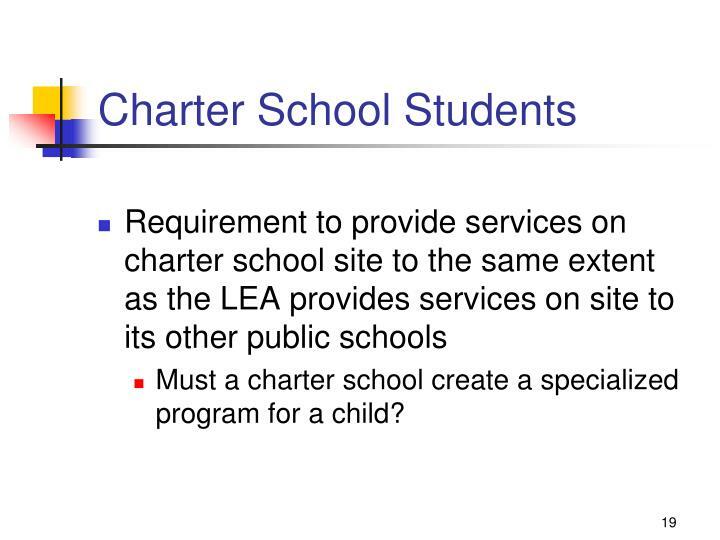 Must a charter school create a specialized program for a child? 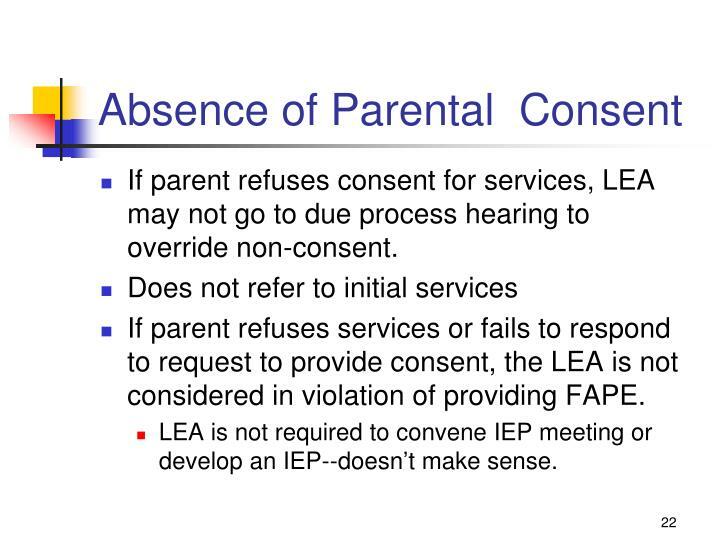 If parent refuses consent for services, LEA may not go to due process hearing to override non-consent. 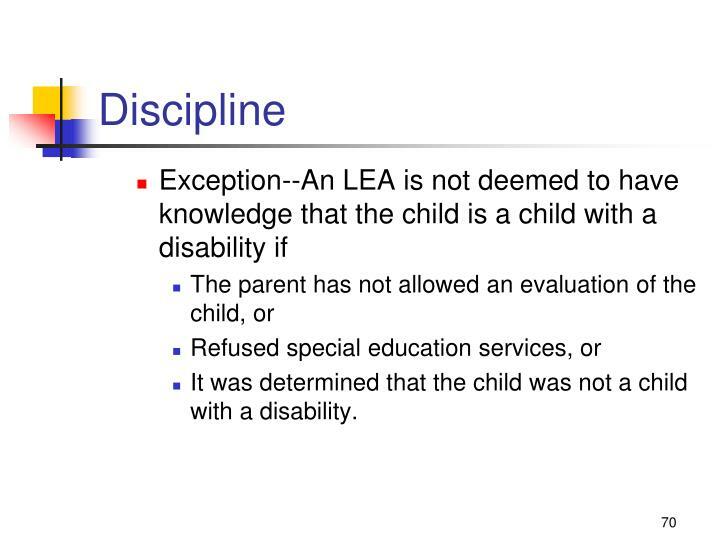 If parent refuses services or fails to respond to request to provide consent, the LEA is not considered in violation of providing FAPE. 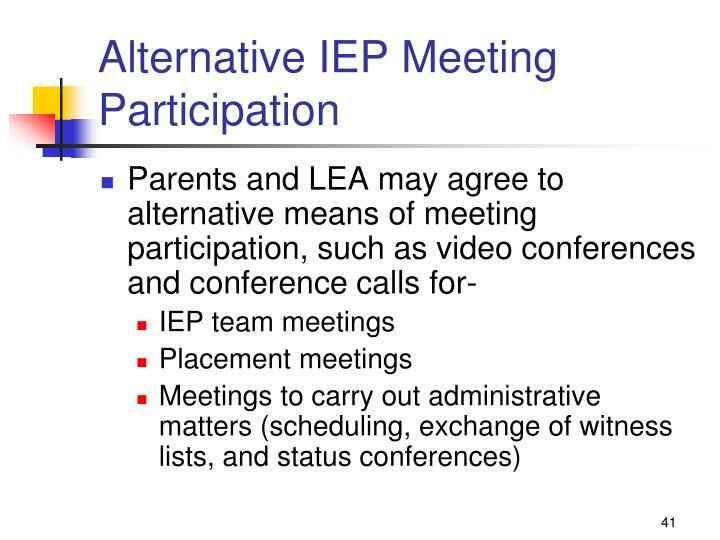 LEA is not required to convene IEP meeting or develop an IEP--doesn’t make sense. 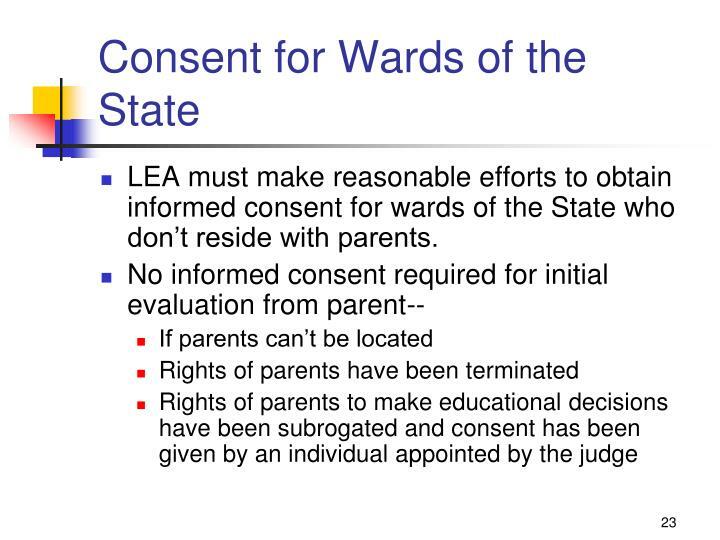 LEA must make reasonable efforts to obtain informed consent for wards of the State who don’t reside with parents. 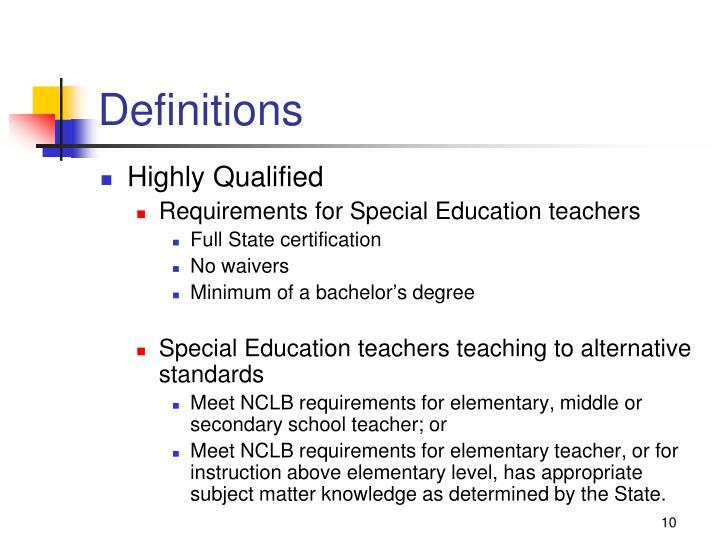 Screening to determine appropriate instructional strategies for curriculum implementation shall not be considered to be an evaluation for eligibility for special education. 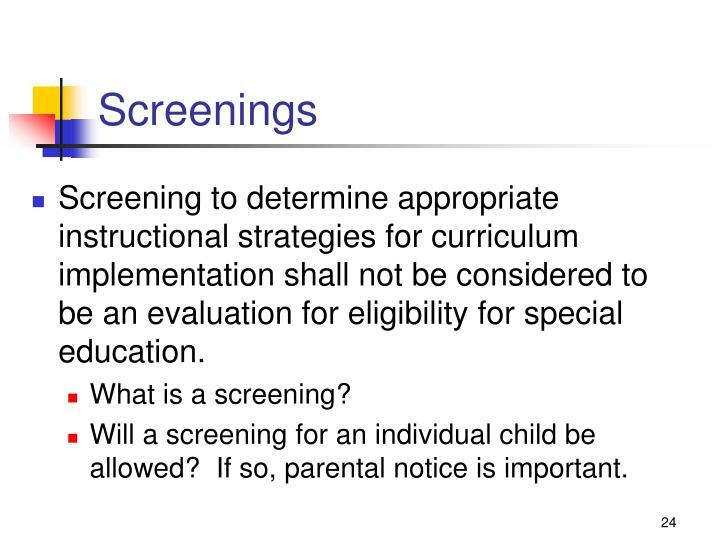 Will a screening for an individual child be allowed? 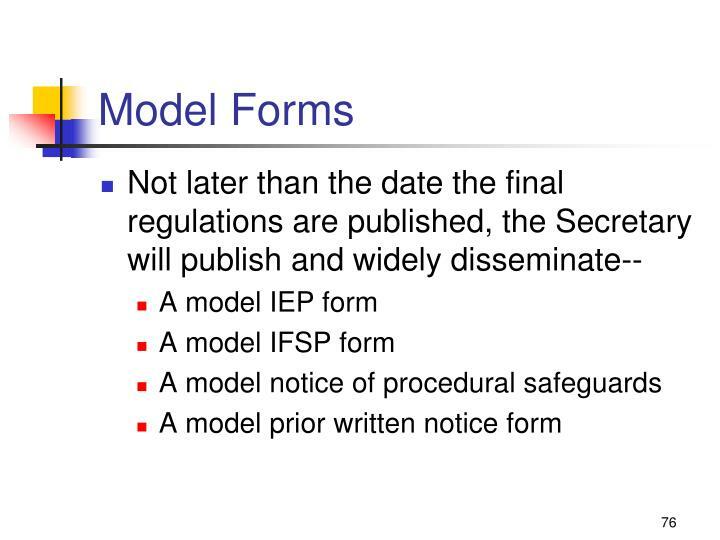 If so, parental notice is important. 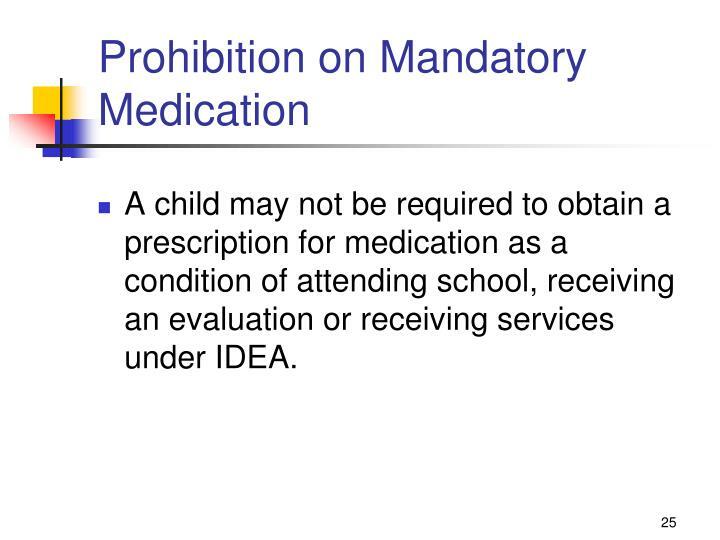 A child may not be required to obtain a prescription for medication as a condition of attending school, receiving an evaluation or receiving services under IDEA. 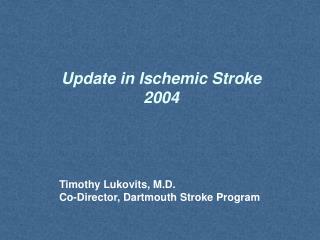 Not more frequently than once a year, unless parent and LEA agree otherwise. 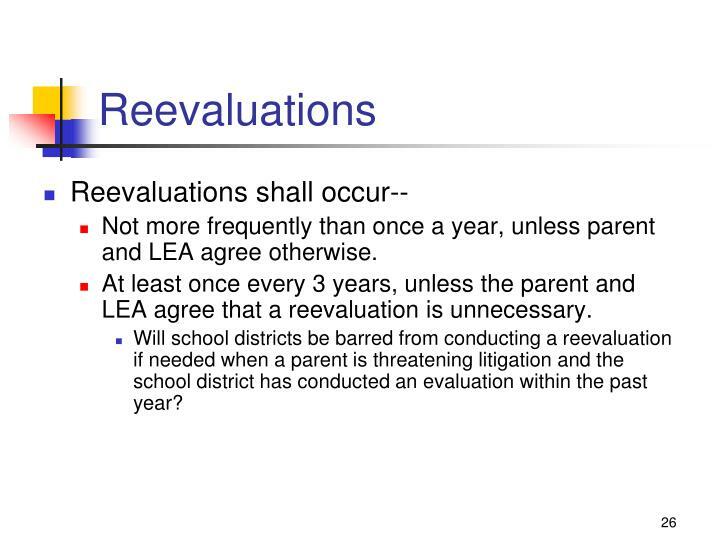 At least once every 3 years, unless the parent and LEA agree that a reevaluation is unnecessary. 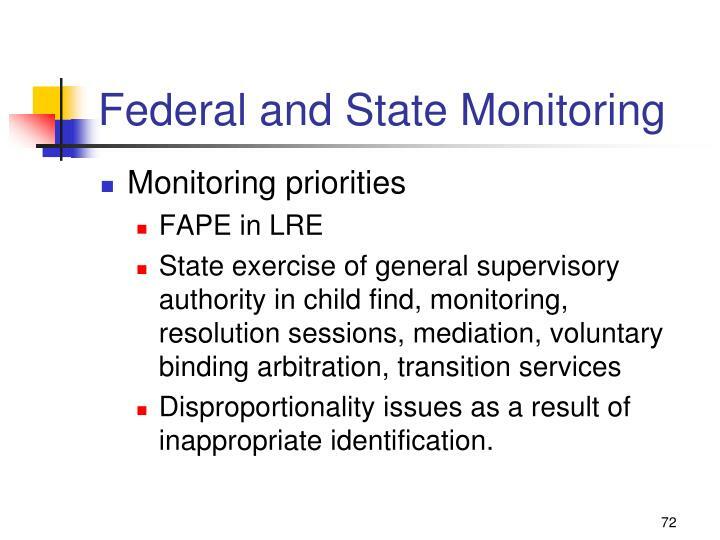 Will school districts be barred from conducting a reevaluation if needed when a parent is threatening litigation and the school district has conducted an evaluation within the past year? 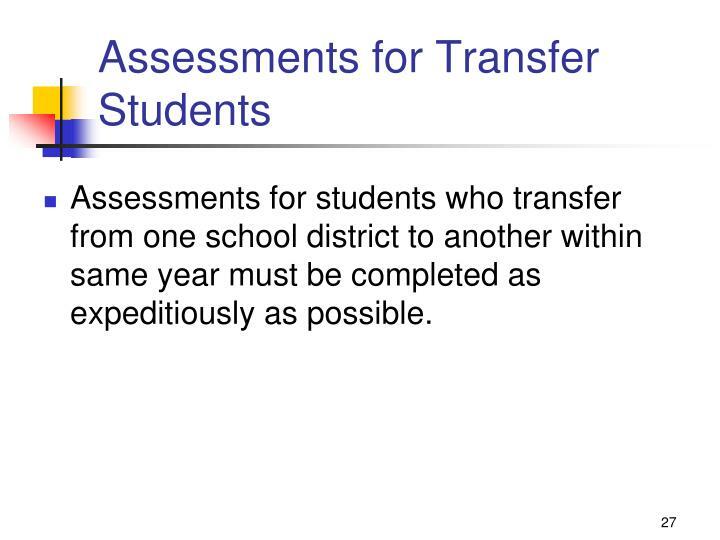 Assessments for students who transfer from one school district to another within same year must be completed as expeditiously as possible. 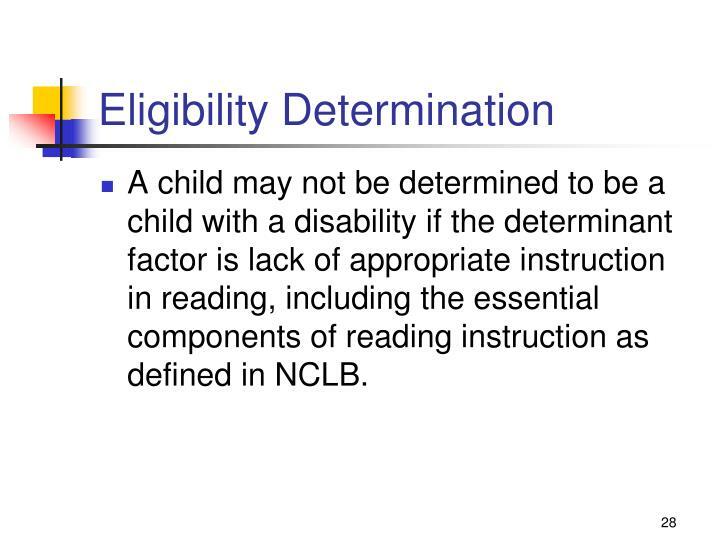 A child may not be determined to be a child with a disability if the determinant factor is lack of appropriate instruction in reading, including the essential components of reading instruction as defined in NCLB. 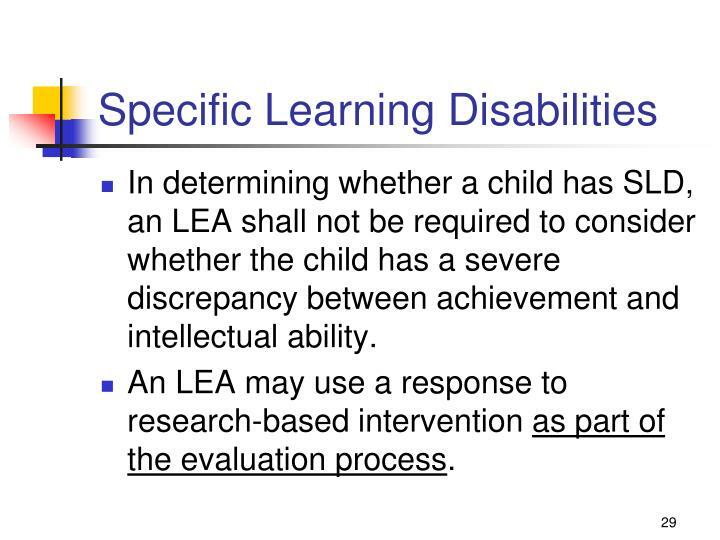 In determining whether a child has SLD, an LEA shall not be required to consider whether the child has a severe discrepancy between achievement and intellectual ability. 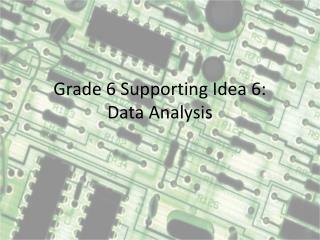 An LEA may use a response to research-based intervention as part of the evaluation process. 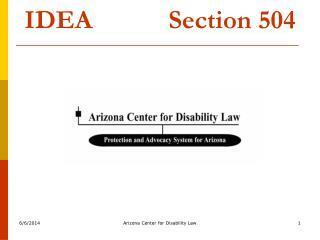 Evaluation required before determining a child is no longer a child with a disability. 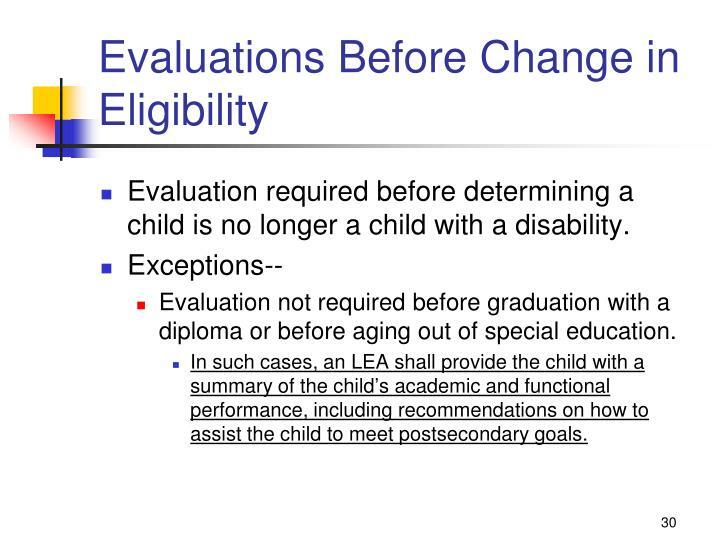 Evaluation not required before graduation with a diploma or before aging out of special education. 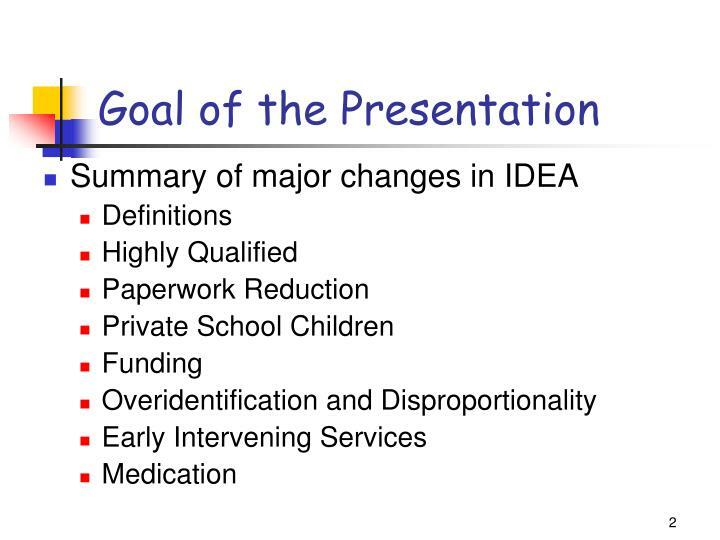 In such cases, an LEA shall provide the child with a summary of the child’s academic and functional performance, including recommendations on how to assist the child to meet postsecondary goals. 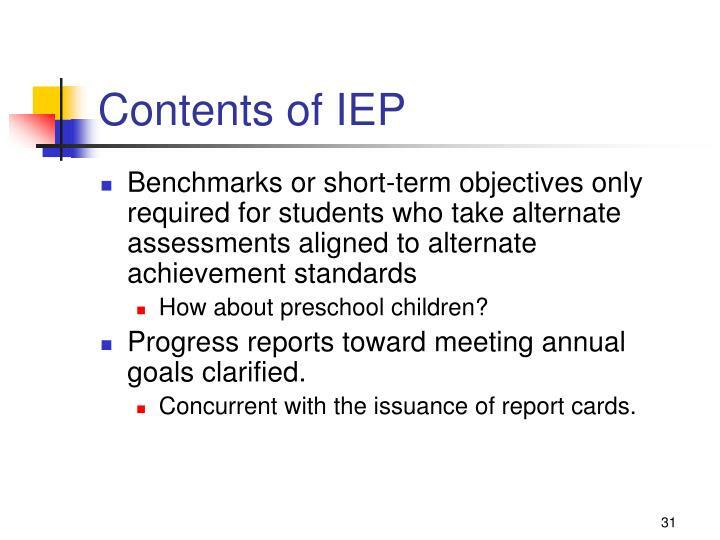 Progress reports toward meeting annual goals clarified. 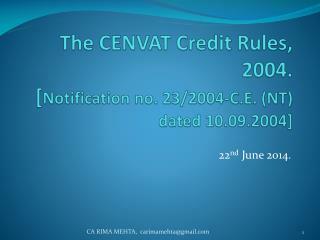 Concurrent with the issuance of report cards. 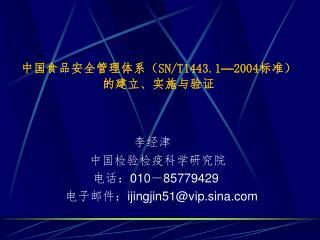 Statement of services, based on peer-reviewed research to the extent practicable. 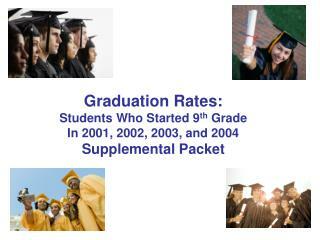 Statement of transition services beginning at age 14 is changed to age 16. 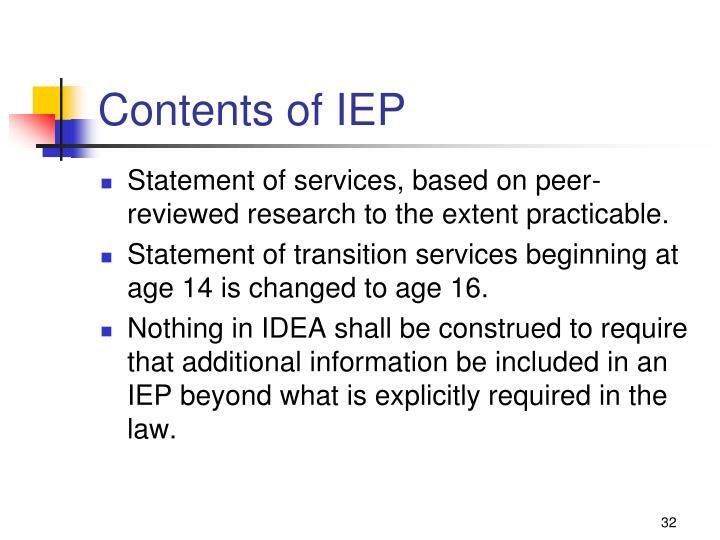 Nothing in IDEA shall be construed to require that additional information be included in an IEP beyond what is explicitly required in the law. 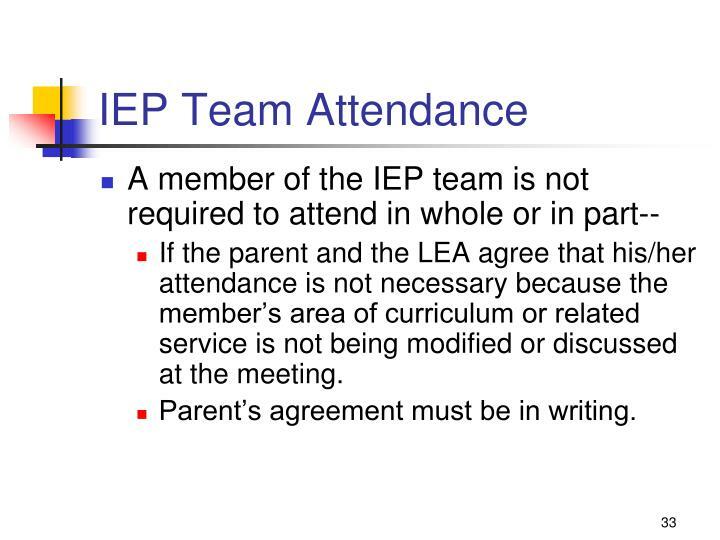 If the parent and the LEA agree that his/her attendance is not necessary because the member’s area of curriculum or related service is not being modified or discussed at the meeting. 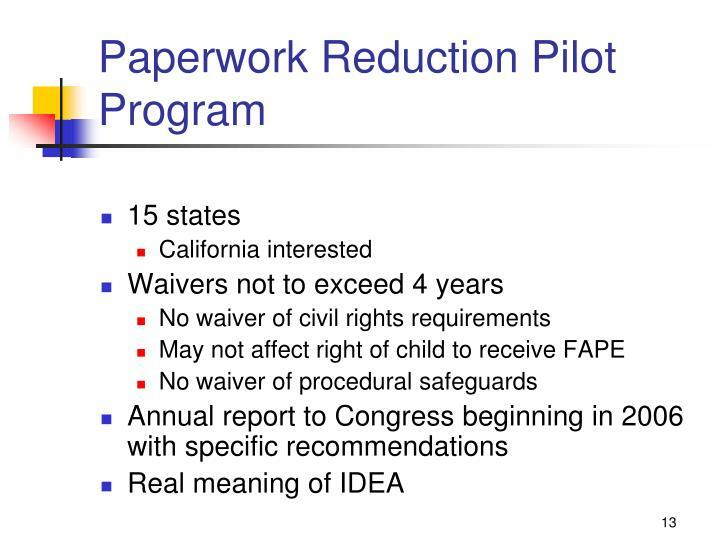 Parent’s agreement must be in writing. The parent and the LEA agree. 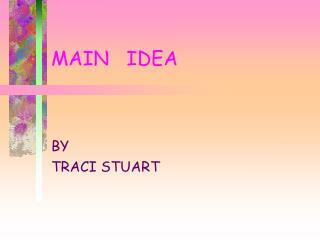 Parent consent must be in writing. 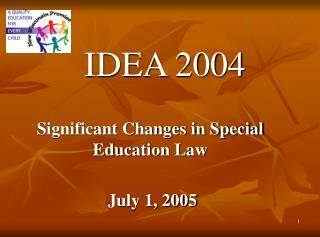 The members submits written input into the development of the IEP. 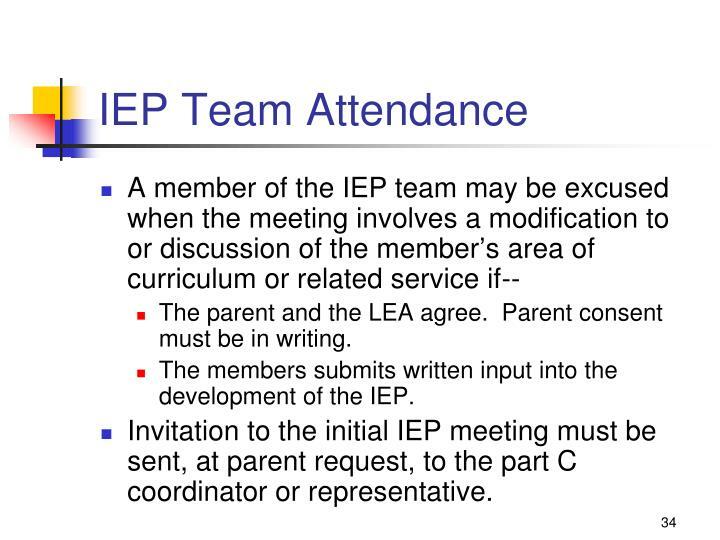 Invitation to the initial IEP meeting must be sent, at parent request, to the part C coordinator or representative. 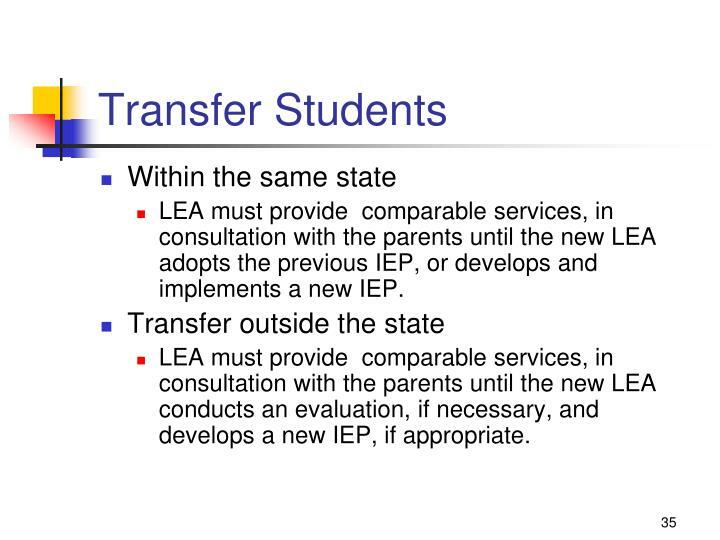 LEA must provide comparable services, in consultation with the parents until the new LEA adopts the previous IEP, or develops and implements a new IEP. 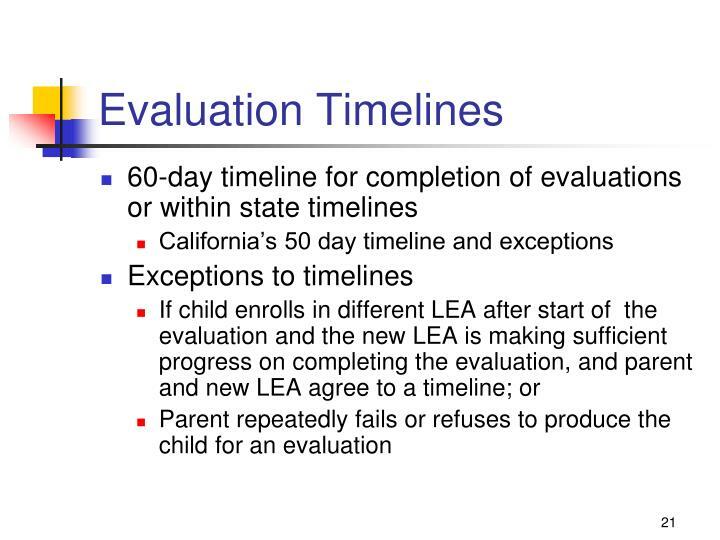 LEA must provide comparable services, in consultation with the parents until the new LEA conducts an evaluation, if necessary, and develops a new IEP, if appropriate. 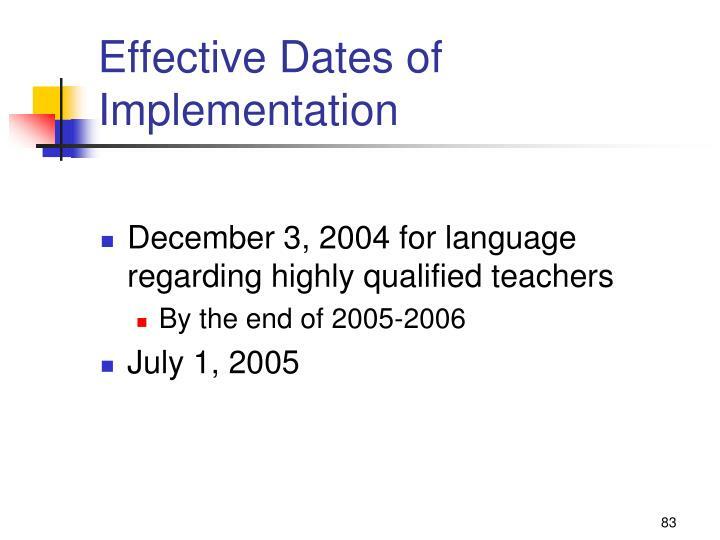 New school must take reasonable steps to promptly obtain school records from the previous school. 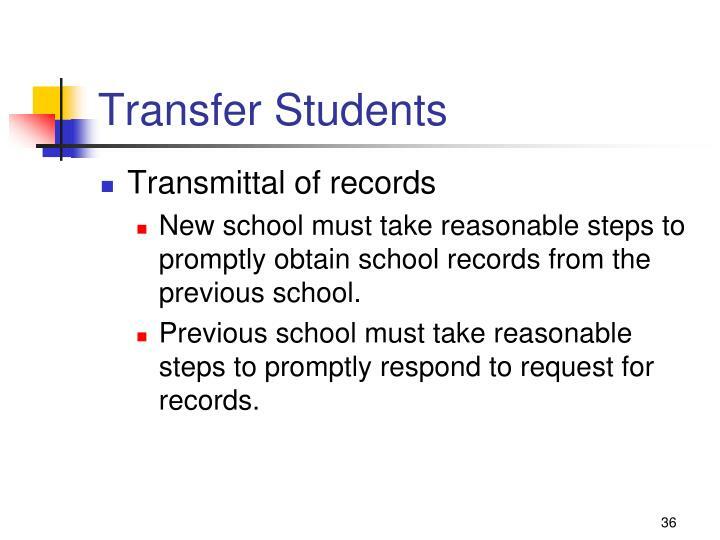 Previous school must take reasonable steps to promptly respond to request for records. 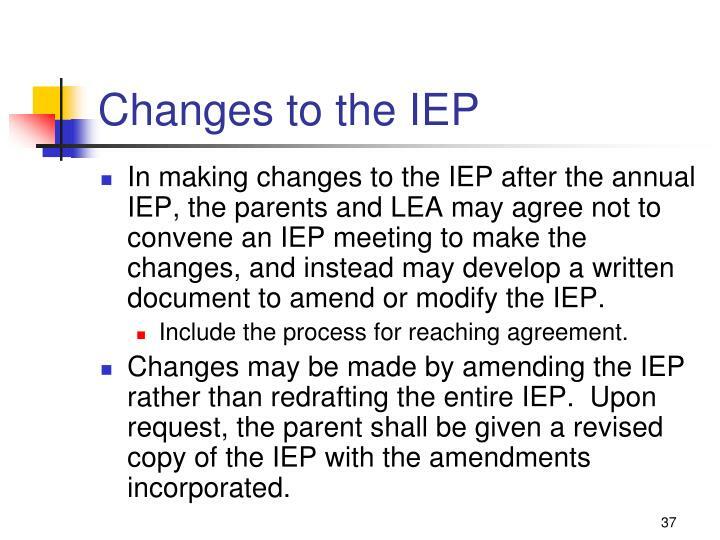 In making changes to the IEP after the annual IEP, the parents and LEA may agree not to convene an IEP meeting to make the changes, and instead may develop a written document to amend or modify the IEP. 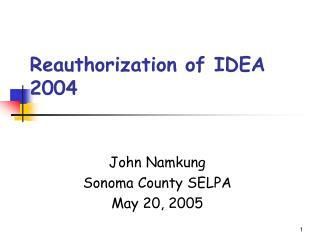 Include the process for reaching agreement. 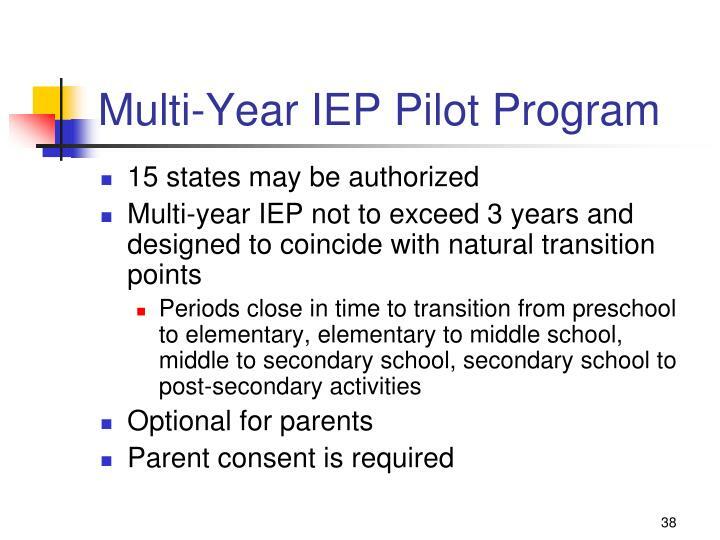 Changes may be made by amending the IEP rather than redrafting the entire IEP. 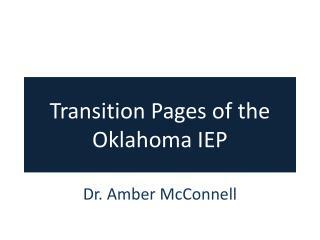 Upon request, the parent shall be given a revised copy of the IEP with the amendments incorporated. 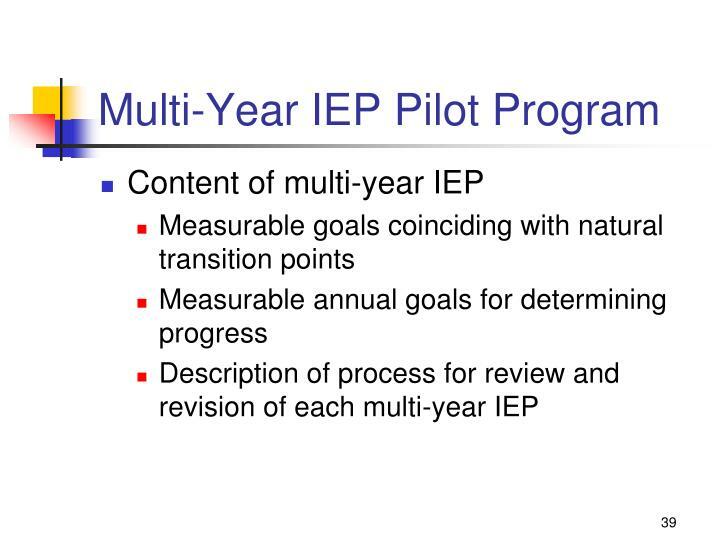 If child is not making sufficient progress, the IEP team must carry out a more thorough review of the IEP within 30 calendar days. 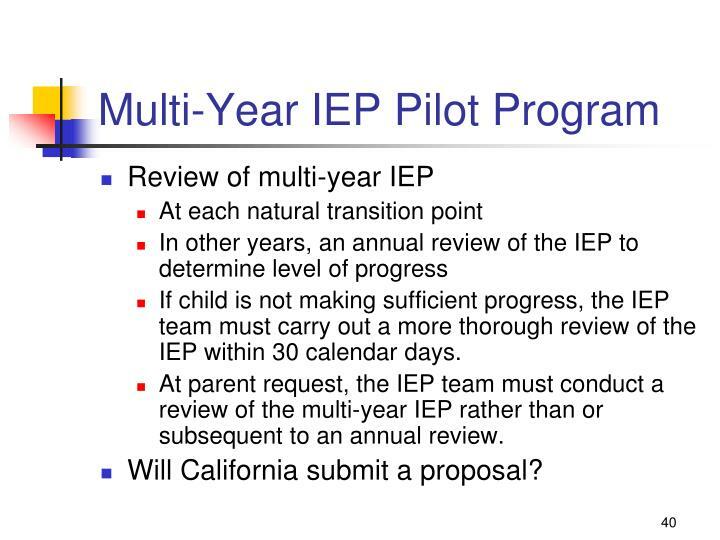 At parent request, the IEP team must conduct a review of the multi-year IEP rather than or subsequent to an annual review. 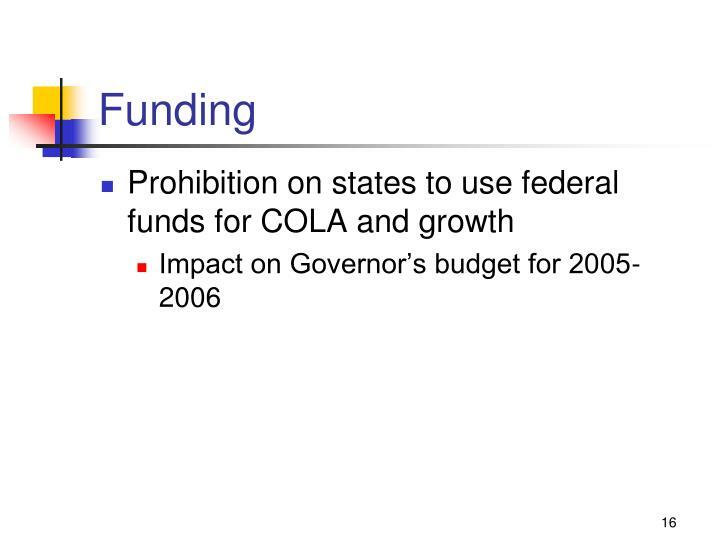 Will California submit a proposal? 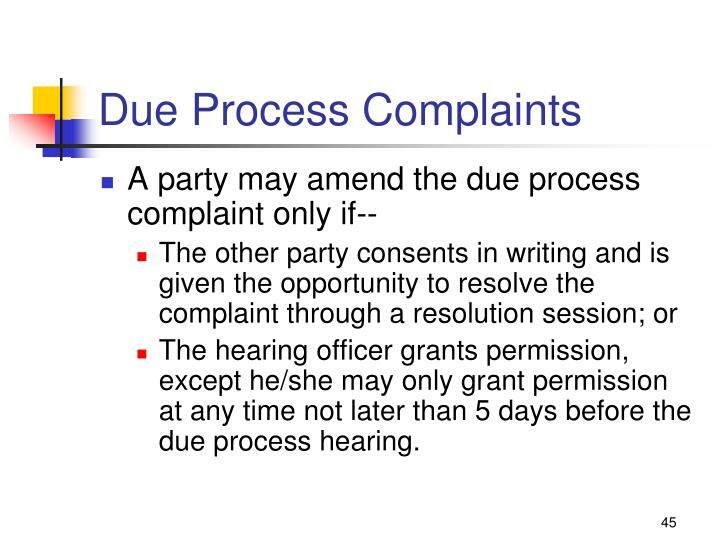 Due process complaint notice deemed sufficient unless the party receiving the notice notifies the hearing officer and the other party that the notice has not meet the requirements. 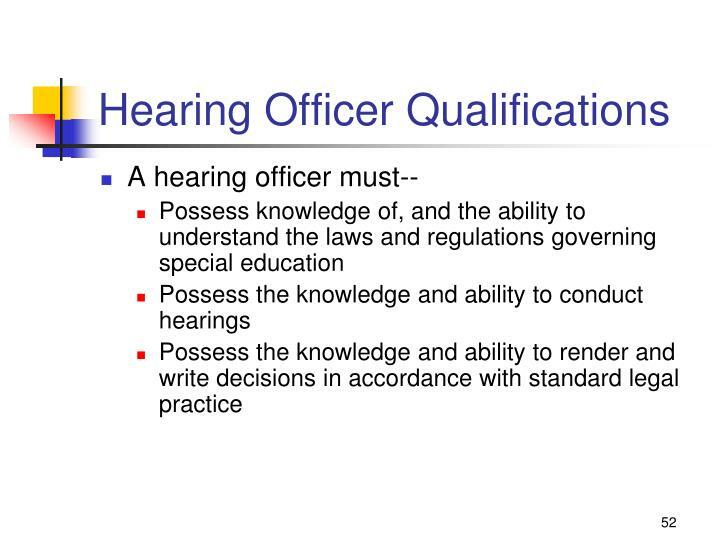 Notice to hearing officer must be provided within 15 days of receiving the complaint. Within 5 days of receipt of the notification, the hearing officer must make a determination and notify the parties in writing. 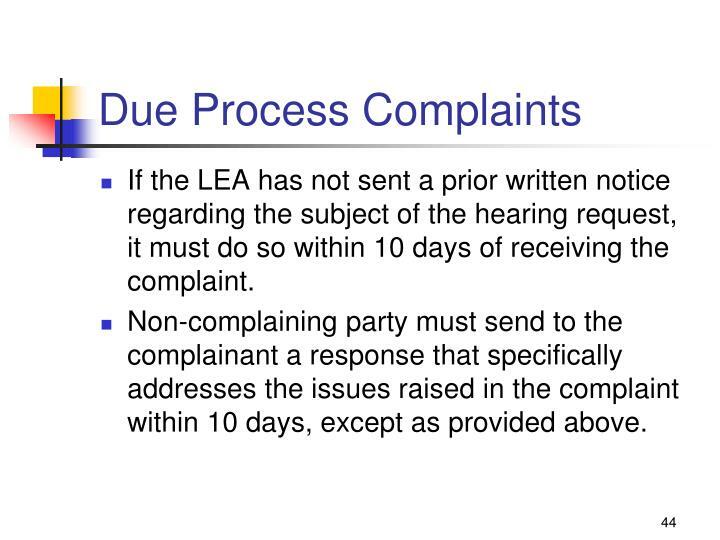 If the LEA has not sent a prior written notice regarding the subject of the hearing request, it must do so within 10 days of receiving the complaint. 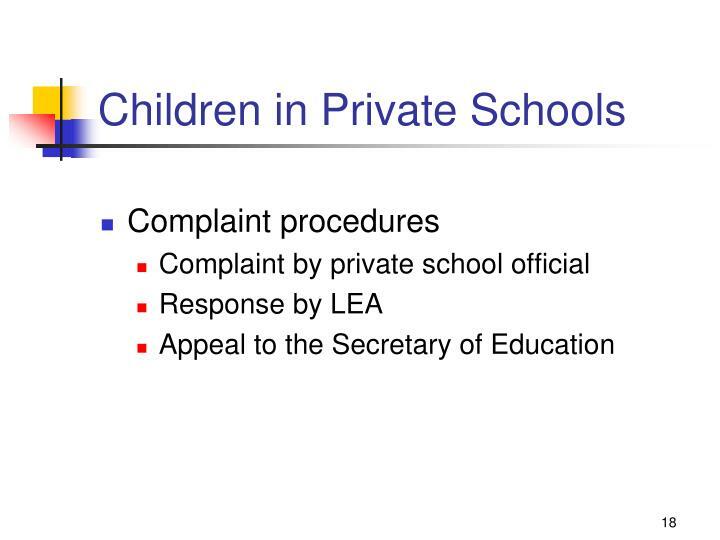 Non-complaining party must send to the complainant a response that specifically addresses the issues raised in the complaint within 10 days, except as provided above. 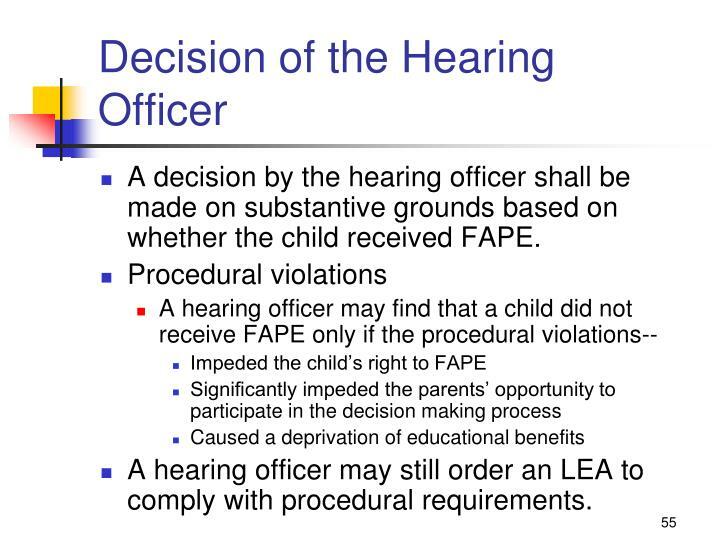 The hearing officer grants permission, except he/she may only grant permission at any time not later than 5 days before the due process hearing. Upon request by the parent. 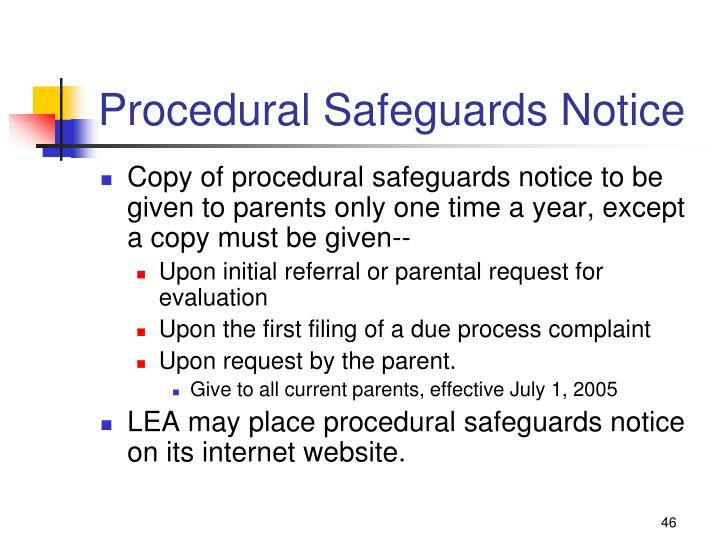 LEA may place procedural safeguards notice on its internet website. 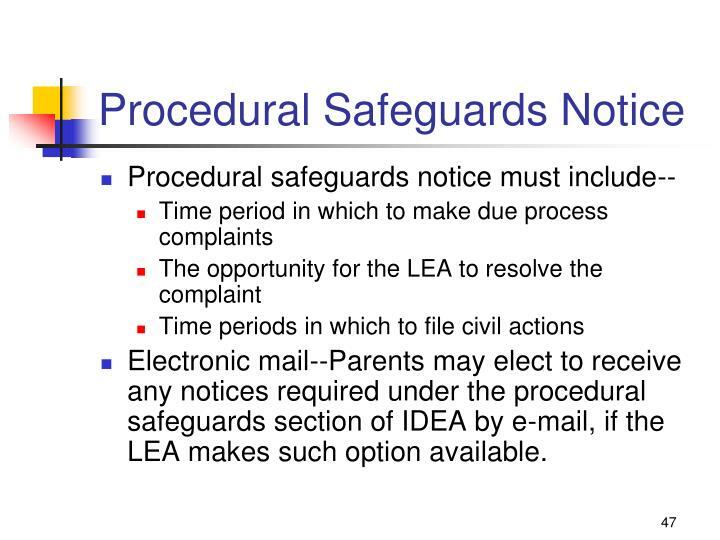 Electronic mail--Parents may elect to receive any notices required under the procedural safeguards section of IDEA by e-mail, if the LEA makes such option available. 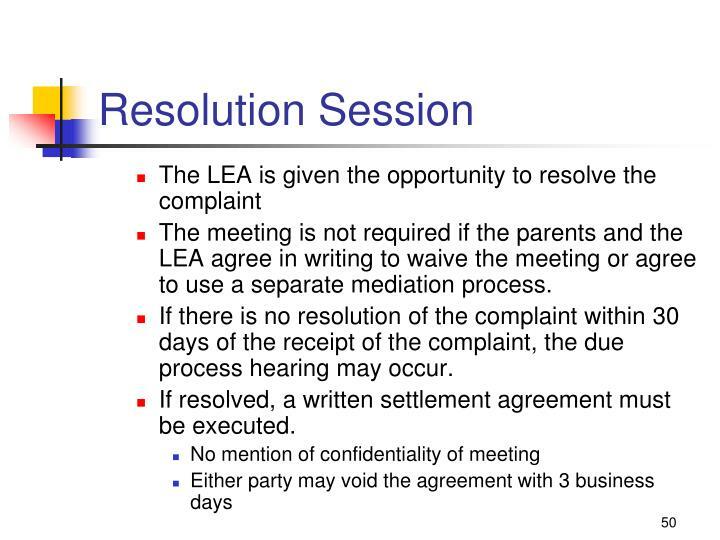 The meeting is not required if the parents and the LEA agree in writing to waive the meeting or agree to use a separate mediation process. 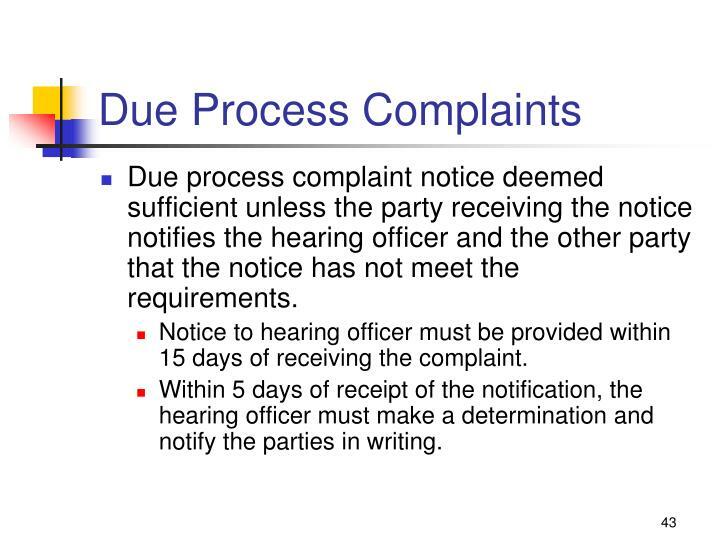 If there is no resolution of the complaint within 30 days of the receipt of the complaint, the due process hearing may occur. 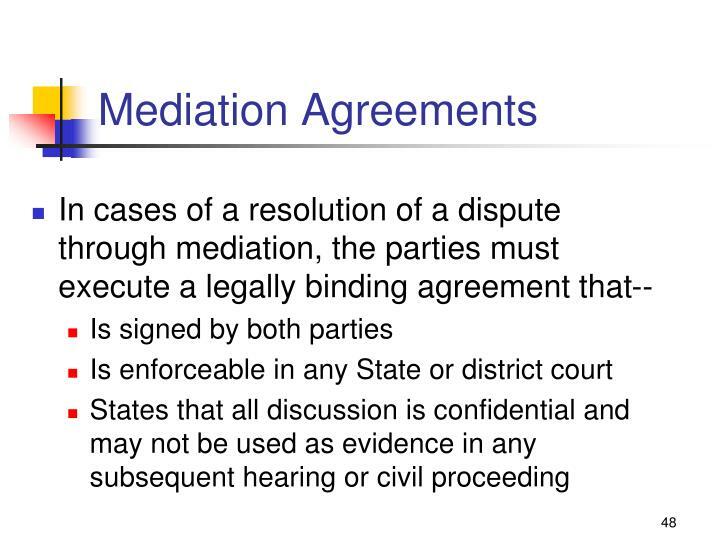 If resolved, a written settlement agreement must be executed. 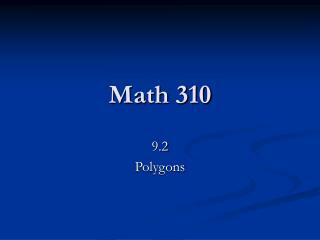 A person having a personal or professional interest that conflicts with his/her objectivity. 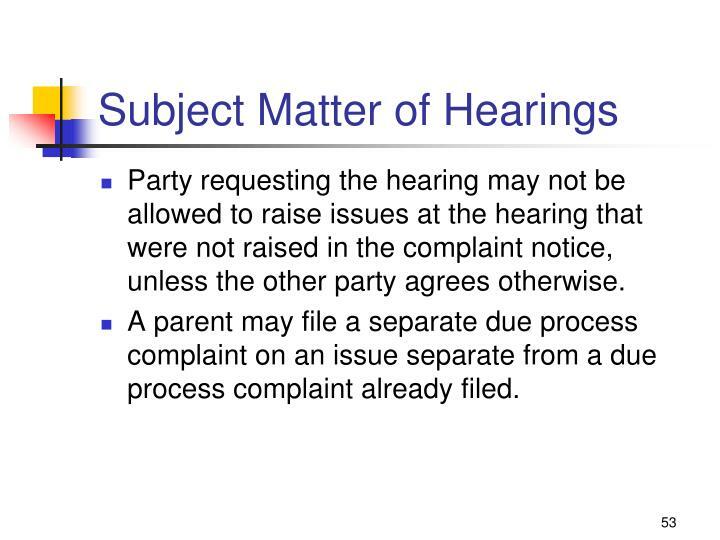 Party requesting the hearing may not be allowed to raise issues at the hearing that were not raised in the complaint notice, unless the other party agrees otherwise. 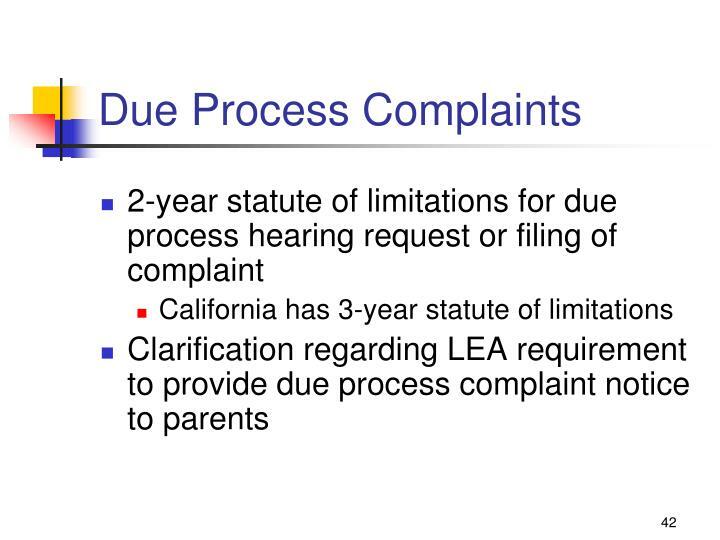 A parent may file a separate due process complaint on an issue separate from a due process complaint already filed. 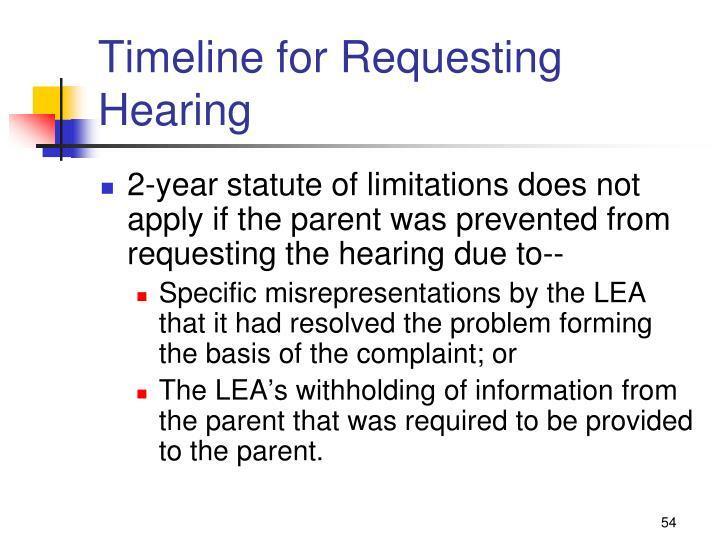 The LEA’s withholding of information from the parent that was required to be provided to the parent. 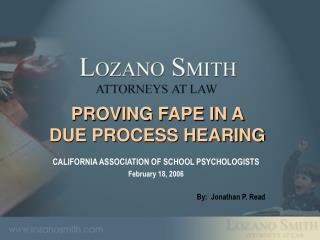 A decision by the hearing officer shall be made on substantive grounds based on whether the child received FAPE. 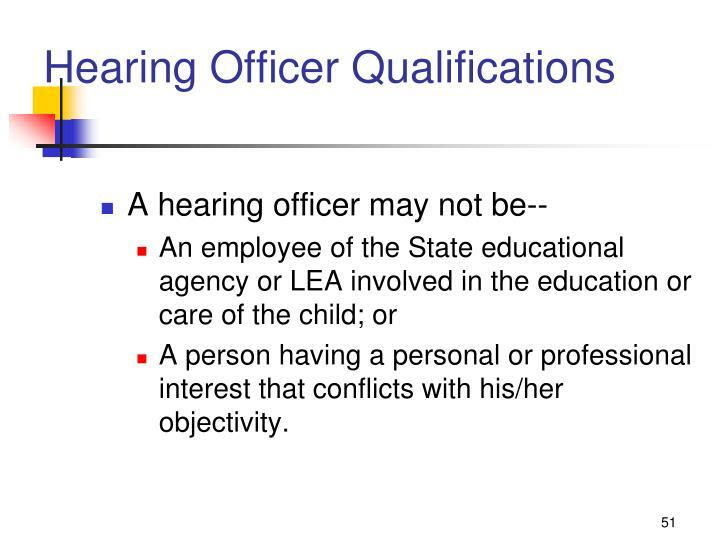 A hearing officer may still order an LEA to comply with procedural requirements. 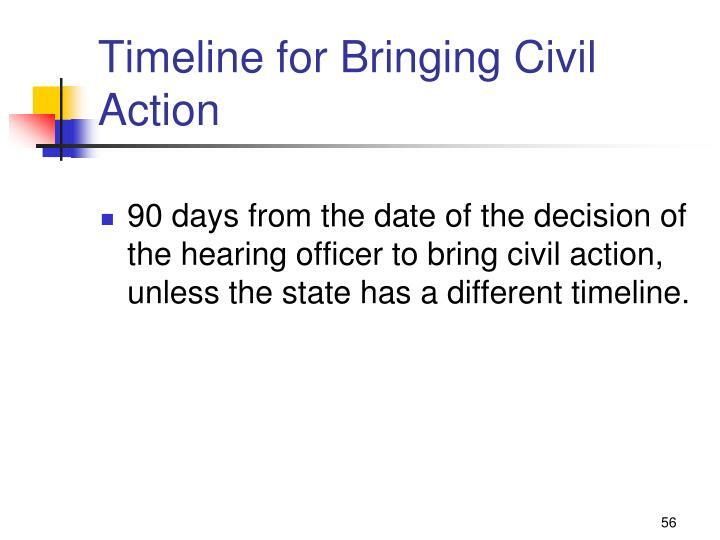 90 days from the date of the decision of the hearing officer to bring civil action, unless the state has a different timeline. 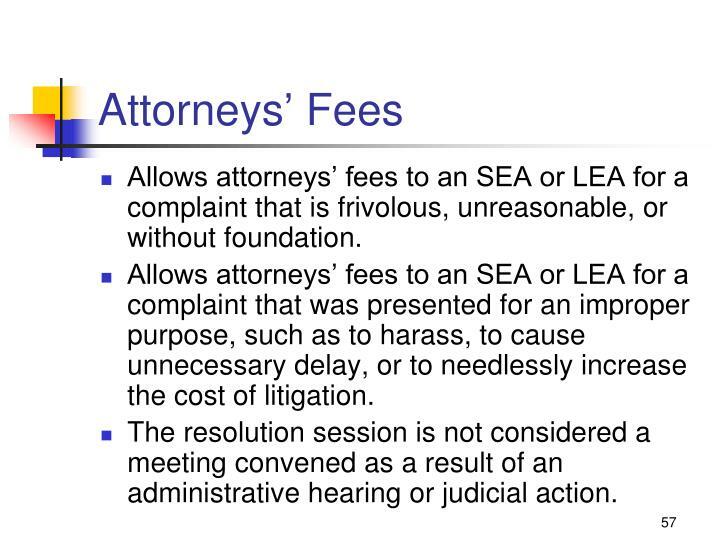 Allows attorneys’ fees to an SEA or LEA for a complaint that is frivolous, unreasonable, or without foundation. 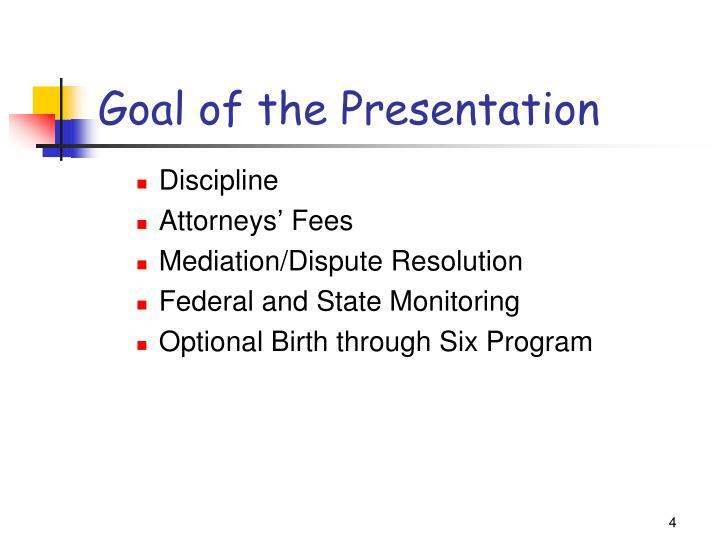 Allows attorneys’ fees to an SEA or LEA for a complaint that was presented for an improper purpose, such as to harass, to cause unnecessary delay, or to needlessly increase the cost of litigation. 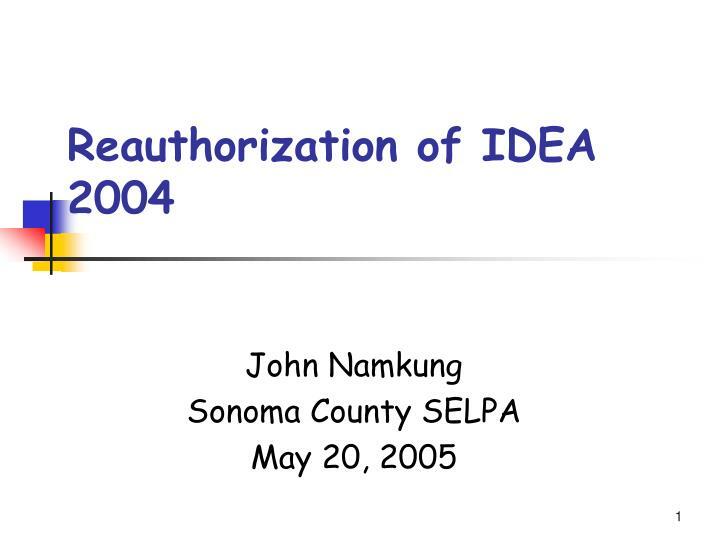 The resolution session is not considered a meeting convened as a result of an administrative hearing or judicial action. 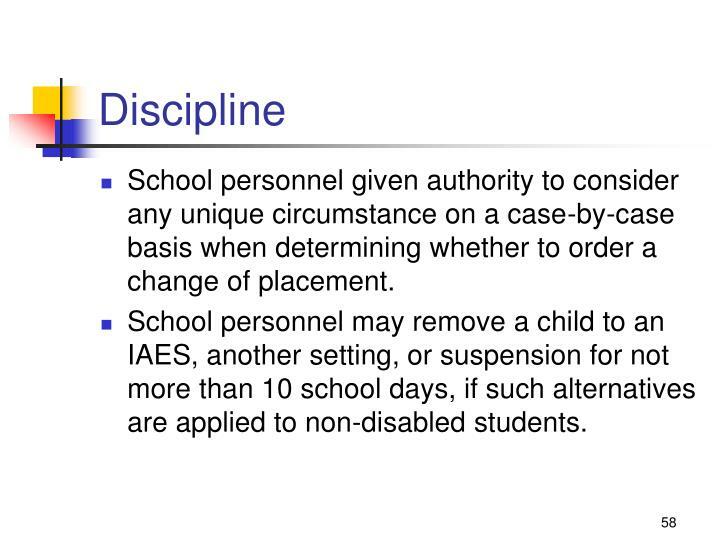 School personnel given authority to consider any unique circumstance on a case-by-case basis when determining whether to order a change of placement. 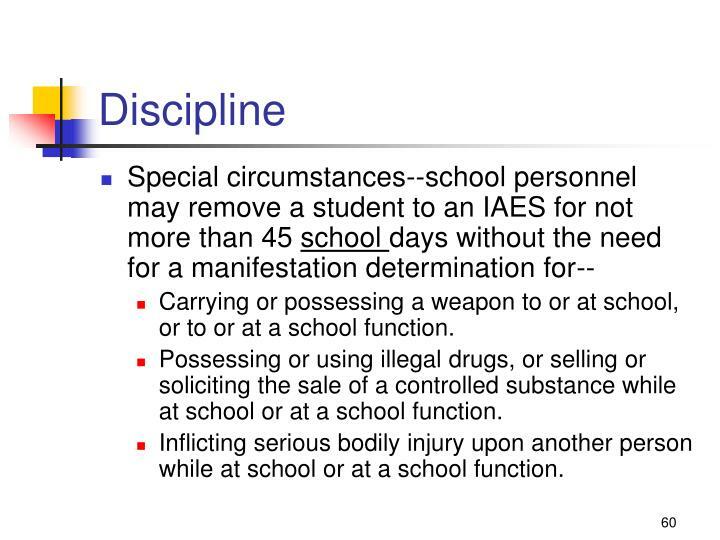 School personnel may remove a child to an IAES, another setting, or suspension for not more than 10 school days, if such alternatives are applied to non-disabled students. 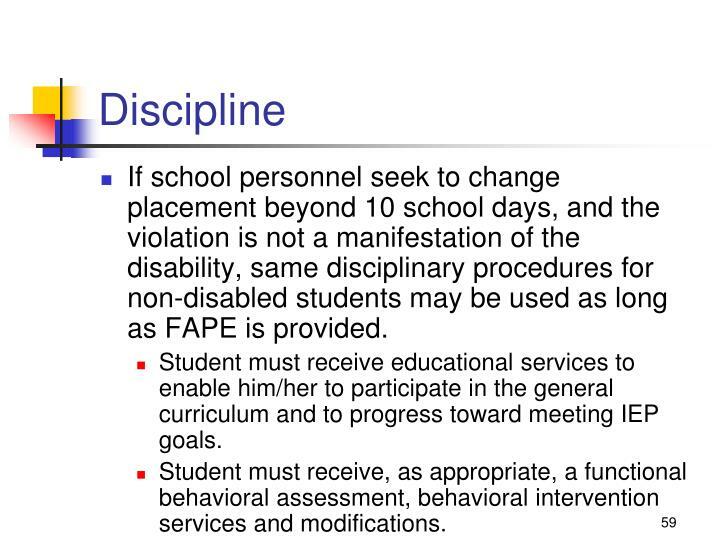 If school personnel seek to change placement beyond 10 school days, and the violation is not a manifestation of the disability, same disciplinary procedures for non-disabled students may be used as long as FAPE is provided. 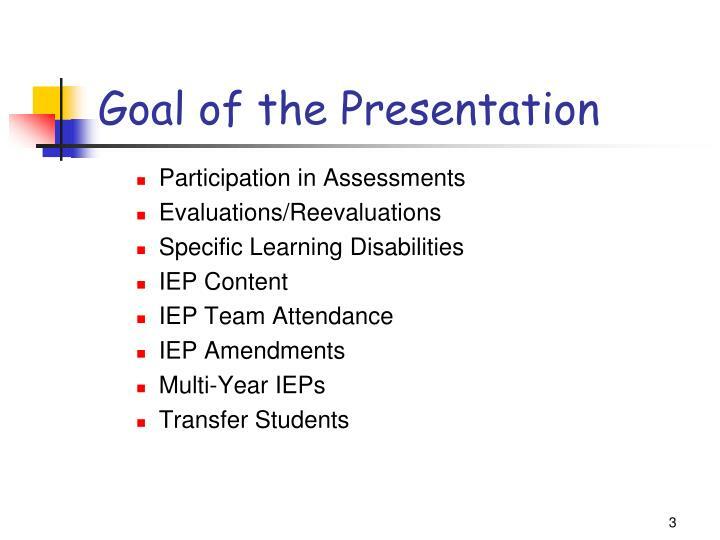 Student must receive educational services to enable him/her to participate in the general curriculum and to progress toward meeting IEP goals. 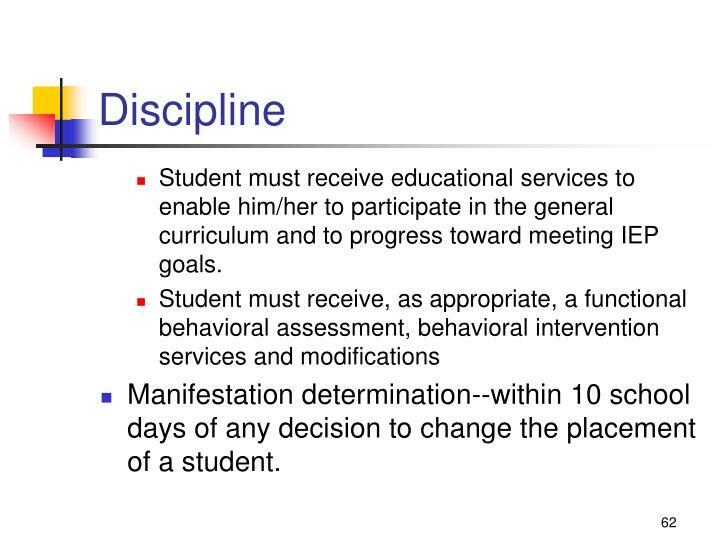 Student must receive, as appropriate, a functional behavioral assessment, behavioral intervention services and modifications. Carrying or possessing a weapon to or at school, or to or at a school function. Possessing or using illegal drugs, or selling or soliciting the sale of a controlled substance while at school or at a school function. 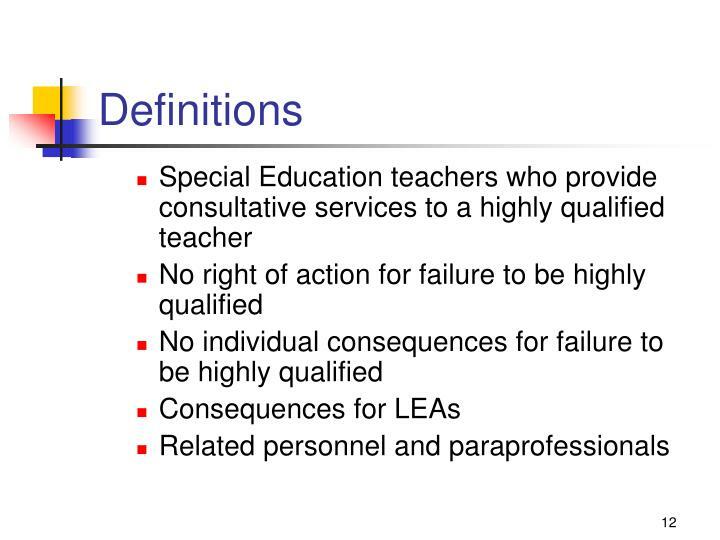 Inflicting serious bodily injury upon another person while at school or at a school function. 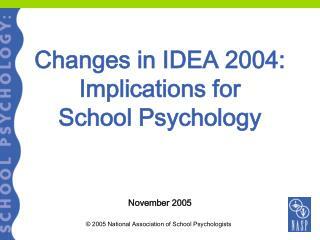 Manifestation determination--within 10 school days of any decision to change the placement of a student. 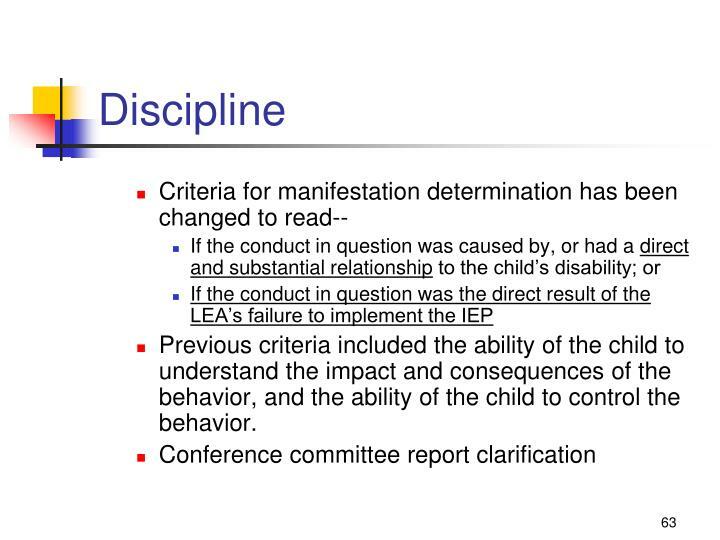 Previous criteria included the ability of the child to understand the impact and consequences of the behavior, and the ability of the child to control the behavior. 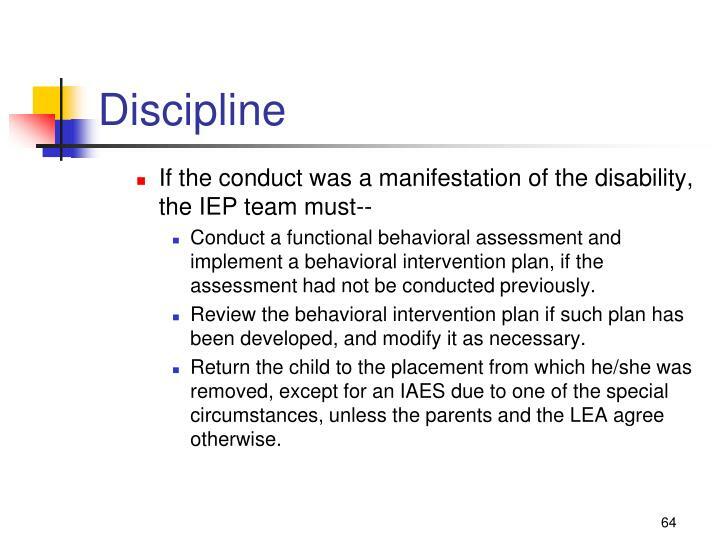 Conduct a functional behavioral assessment and implement a behavioral intervention plan, if the assessment had not be conducted previously. 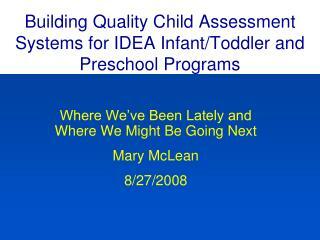 Review the behavioral intervention plan if such plan has been developed, and modify it as necessary. 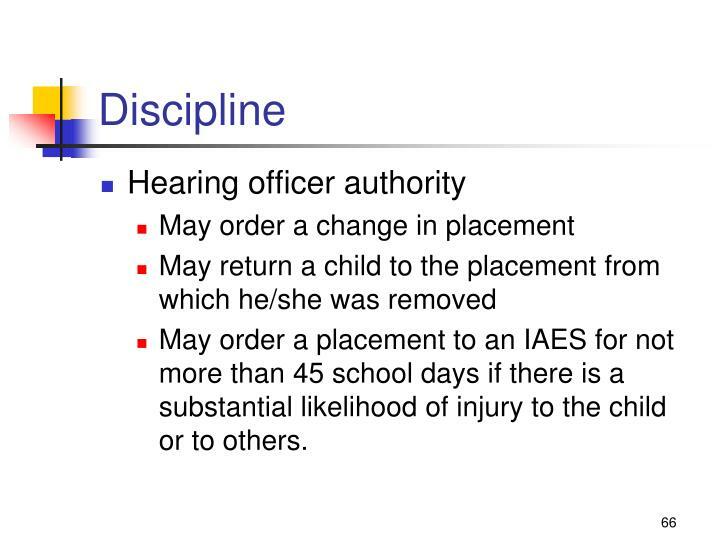 Return the child to the placement from which he/she was removed, except for an IAES due to one of the special circumstances, unless the parents and the LEA agree otherwise. 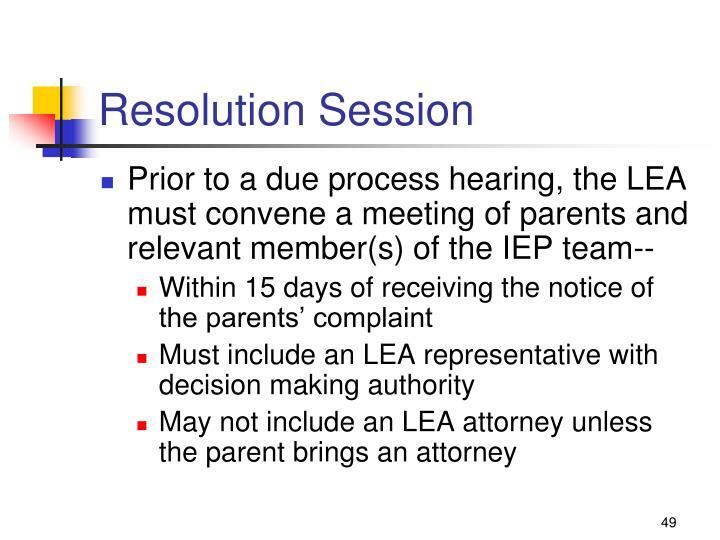 Parent may request a hearing if he/she disagrees with any decision of the LEA. 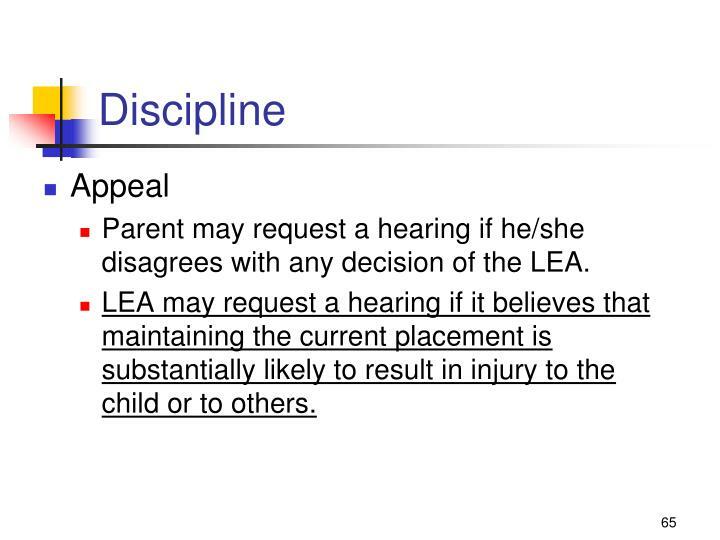 LEA may request a hearing if it believes that maintaining the current placement is substantially likely to result in injury to the child or to others. 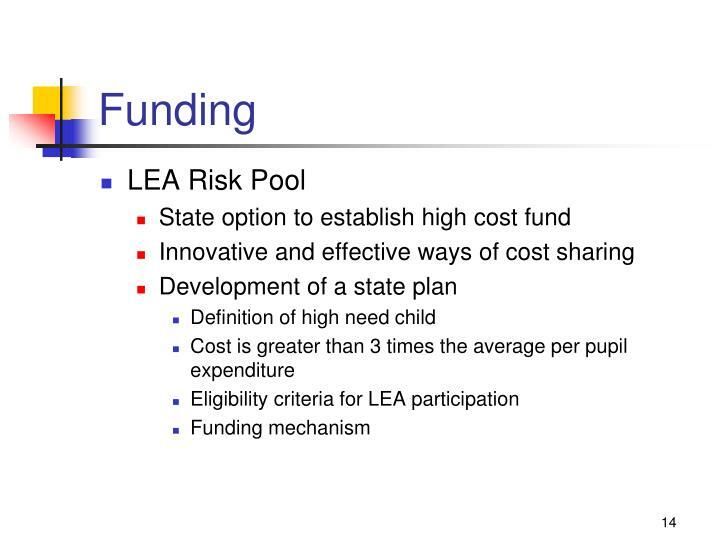 May order a placement to an IAES for not more than 45 school days if there is a substantial likelihood of injury to the child or to others. 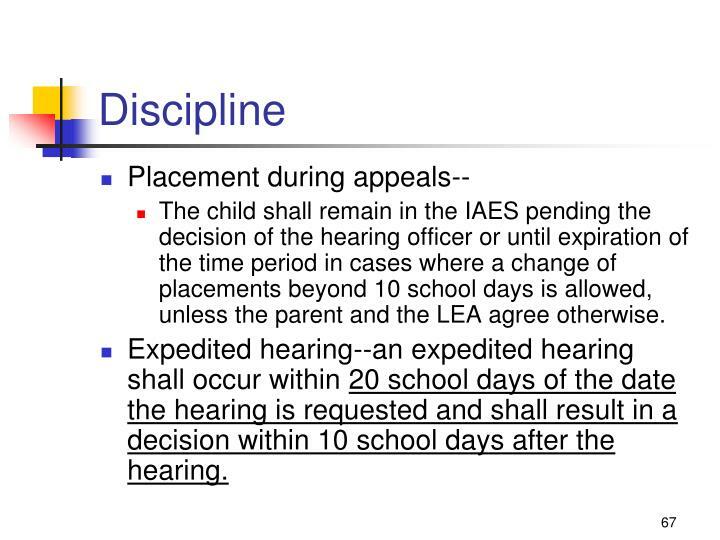 The child shall remain in the IAES pending the decision of the hearing officer or until expiration of the time period in cases where a change of placements beyond 10 school days is allowed, unless the parent and the LEA agree otherwise. 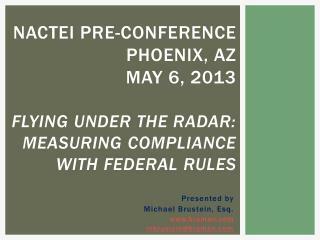 Expedited hearing--an expedited hearing shall occur within 20 school days of the date the hearing is requested and shall result in a decision within 10 school days after the hearing. 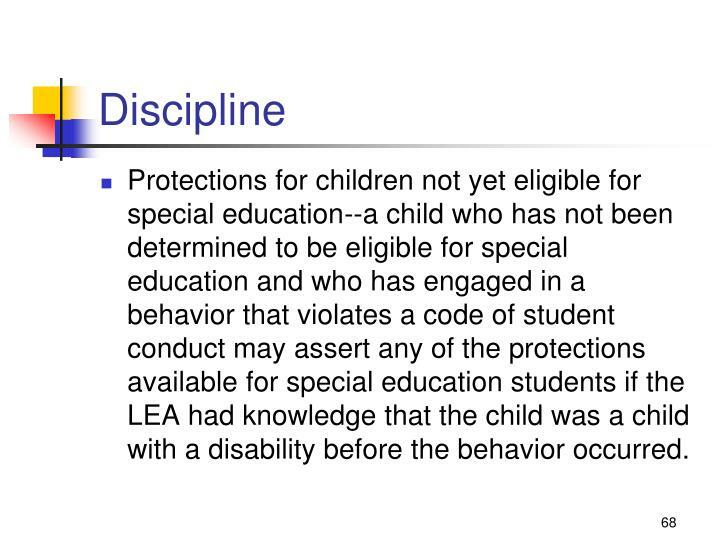 Protections for children not yet eligible for special education--a child who has not been determined to be eligible for special education and who has engaged in a behavior that violates a code of student conduct may assert any of the protections available for special education students if the LEA had knowledge that the child was a child with a disability before the behavior occurred. 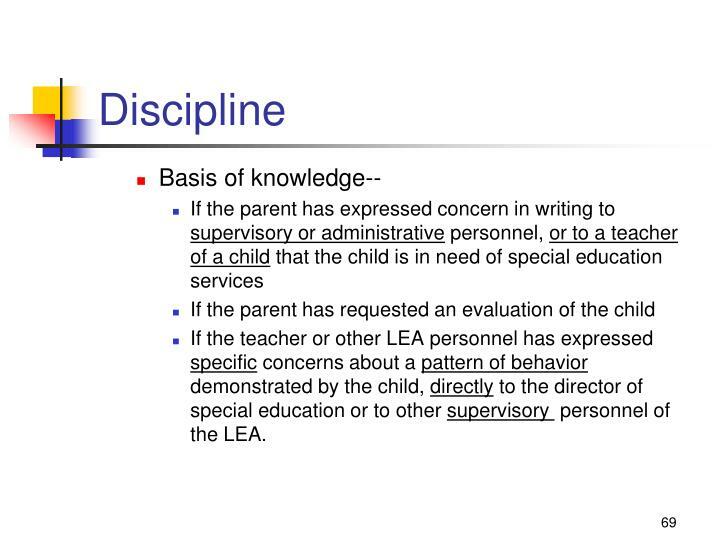 If the teacher or other LEA personnel has expressed specific concerns about a pattern of behavior demonstrated by the child, directly to the director of special education or to other supervisory personnel of the LEA. 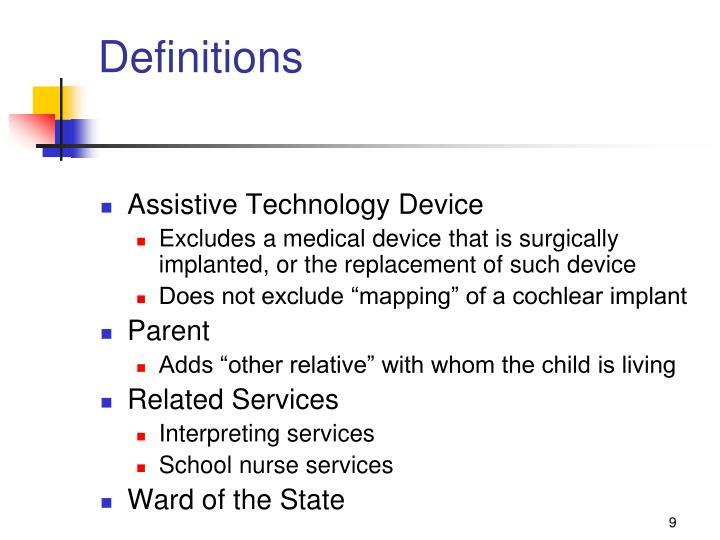 It was determined that the child was not a child with a disability. 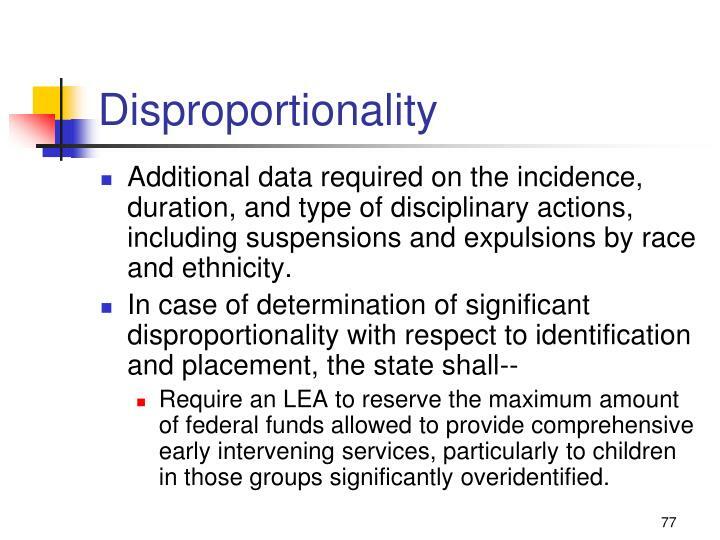 Disproportionality issues as a result of inappropriate identification. 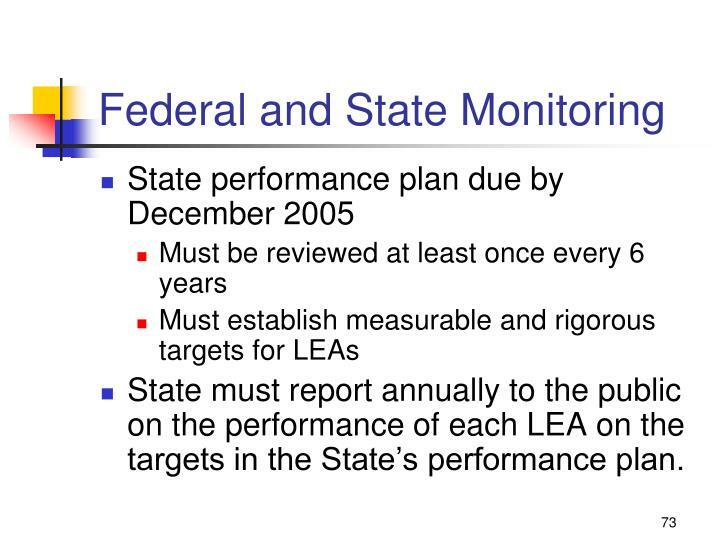 State must report annually to the public on the performance of each LEA on the targets in the State’s performance plan. 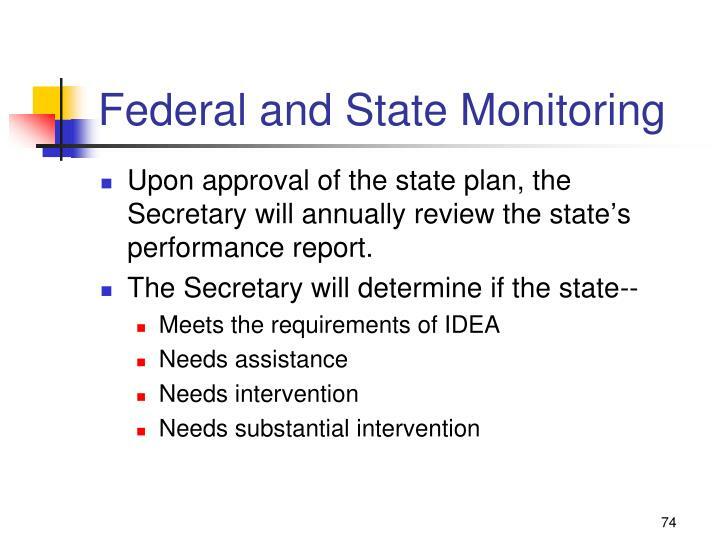 Upon approval of the state plan, the Secretary will annually review the state’s performance report. 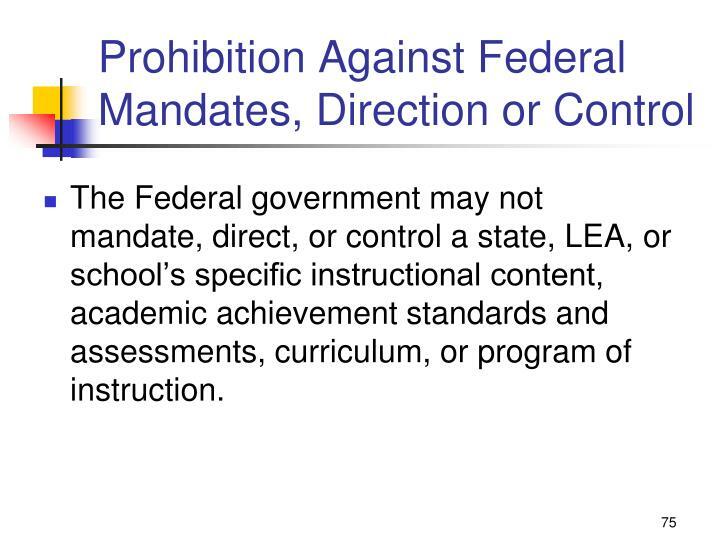 The Federal government may not mandate, direct, or control a state, LEA, or school’s specific instructional content, academic achievement standards and assessments, curriculum, or program of instruction. 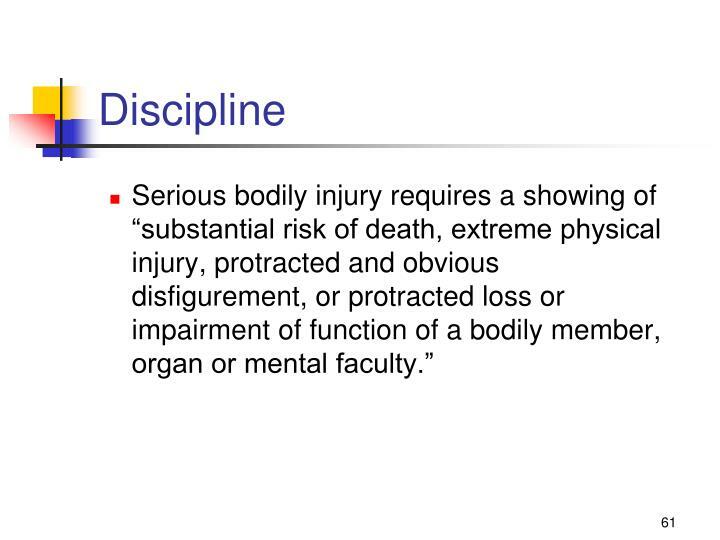 Additional data required on the incidence, duration, and type of disciplinary actions, including suspensions and expulsions by race and ethnicity. 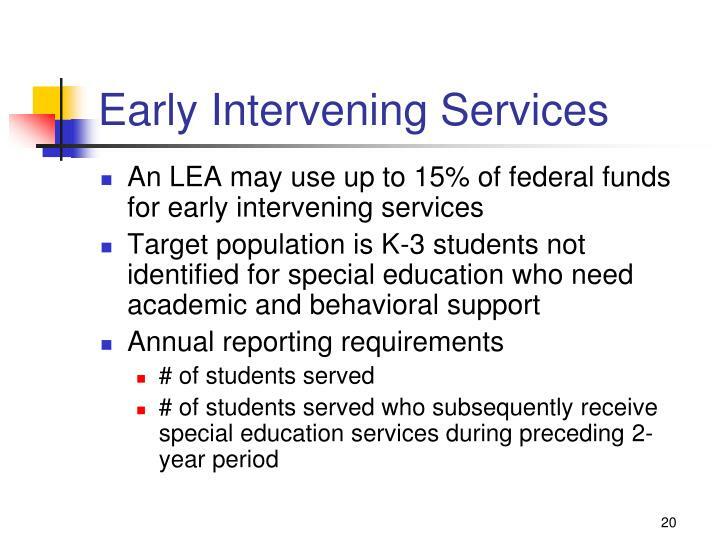 Require an LEA to reserve the maximum amount of federal funds allowed to provide comprehensive early intervening services, particularly to children in those groups significantly overidentified. 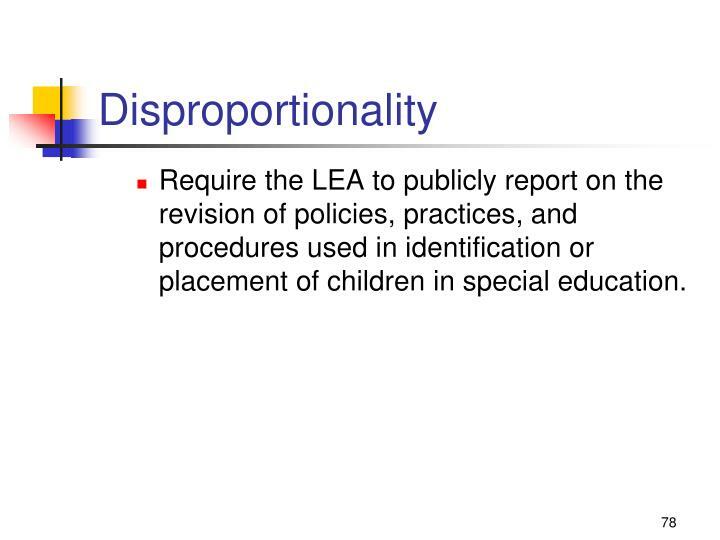 Require the LEA to publicly report on the revision of policies, practices, and procedures used in identification or placement of children in special education. 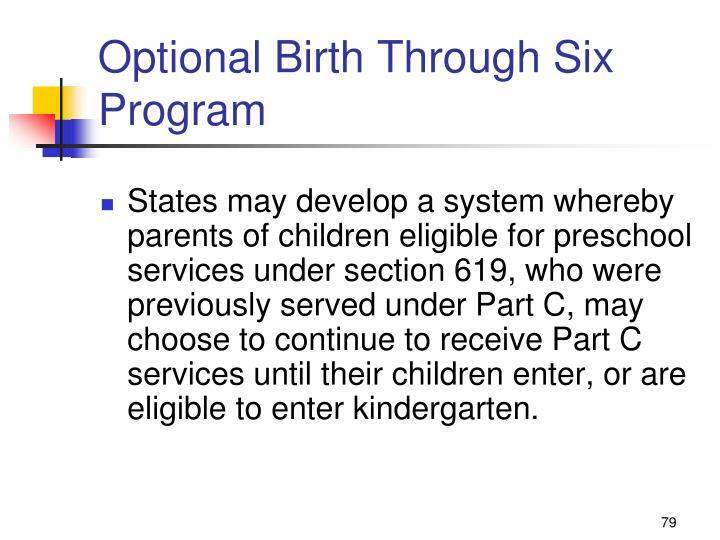 States may develop a system whereby parents of children eligible for preschool services under section 619, who were previously served under Part C, may choose to continue to receive Part C services until their children enter, or are eligible to enter kindergarten. 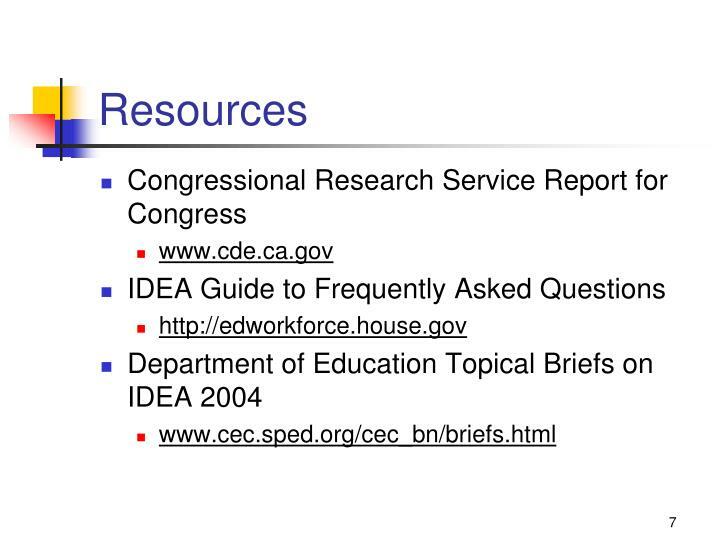 Part C services must include an educational component that promotes school readiness and incorporates preliteracy, language, and numeracy skills. 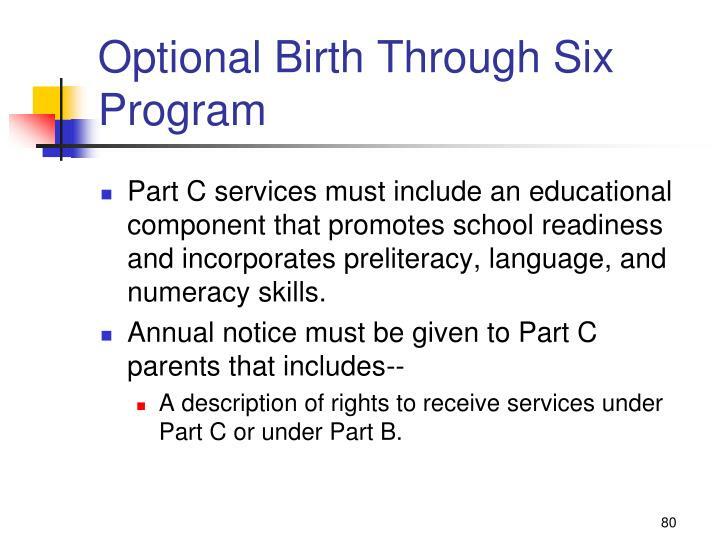 A description of rights to receive services under Part C or under Part B. 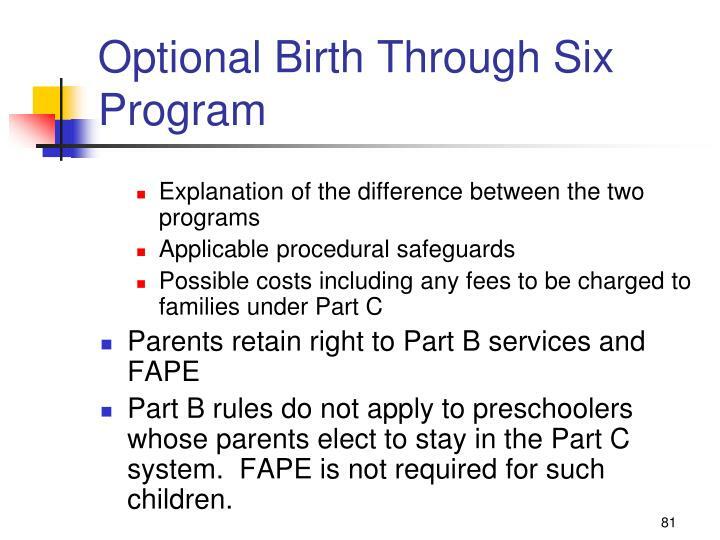 Part B rules do not apply to preschoolers whose parents elect to stay in the Part C system. 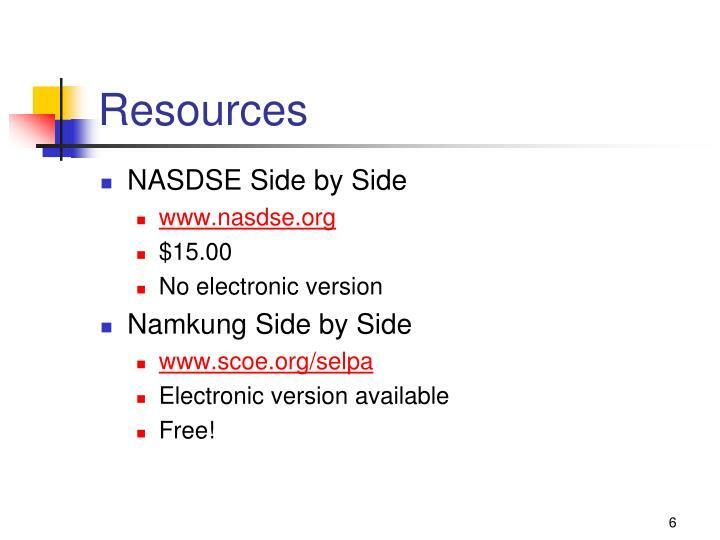 FAPE is not required for such children. 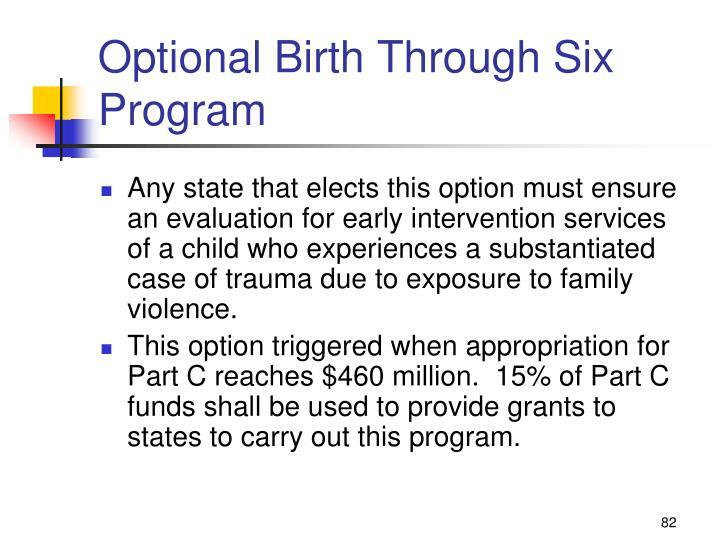 Any state that elects this option must ensure an evaluation for early intervention services of a child who experiences a substantiated case of trauma due to exposure to family violence. 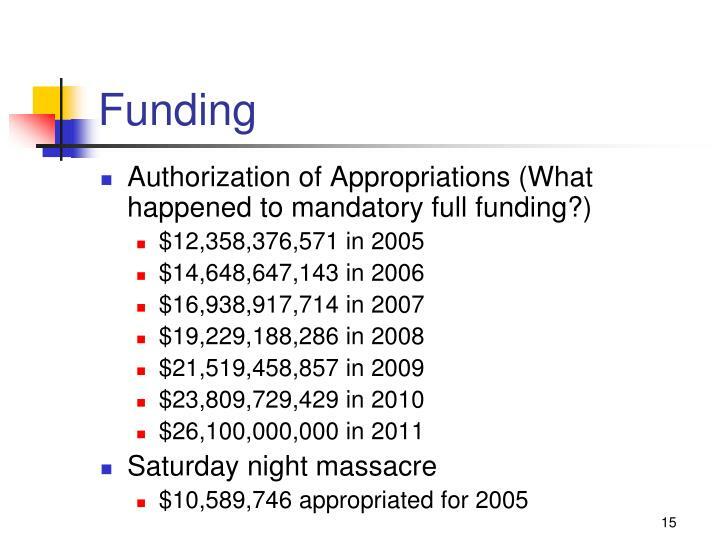 This option triggered when appropriation for Part C reaches $460 million. 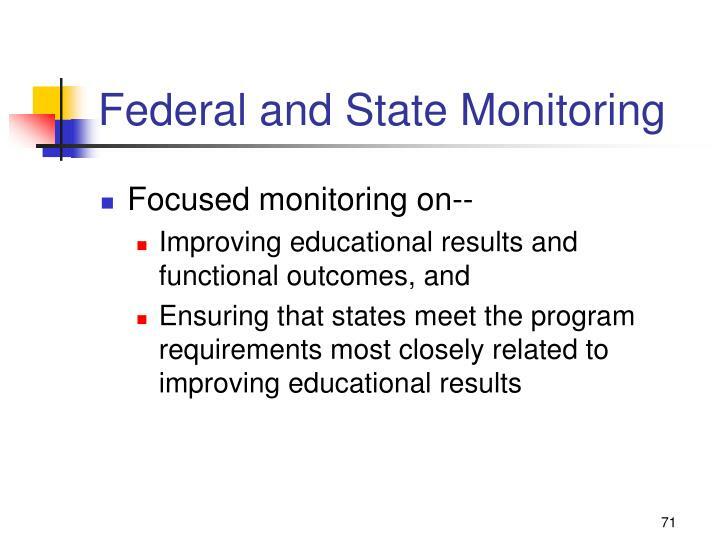 15% of Part C funds shall be used to provide grants to states to carry out this program. 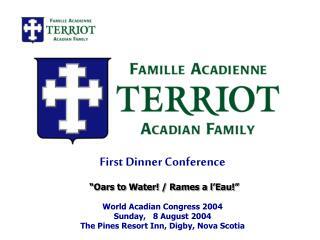 First Dinner Conference World Acadian Congress 2004 Sunday, 8 August 2004 -First dinner conference world acadian congress 2004 sunday, 8 august 2004 the pines resort inn, digby, nova scotia. “oars to water! / rames a l’eau!”. 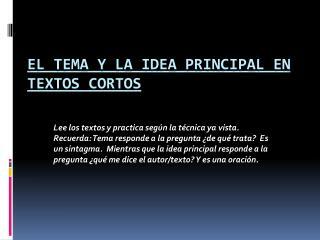 IDEA 2004 -. 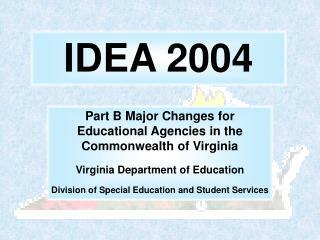 part b major changes for educational agencies in the commonwealth of virginia virginia department of education division of special education and student services. 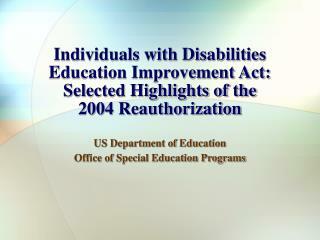 individuals with disabilities education improvement act of 2004. p.l. 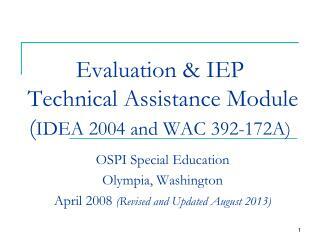 Evaluation & IEP Technical Assistance Module ( IDEA 2004 and WAC 392-172A) -Evaluation &amp; iep technical assistance module ( idea 2004 and wac 392-172a). 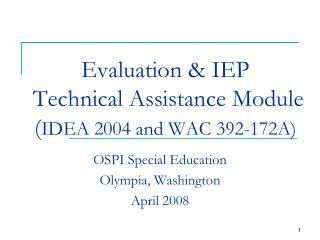 ospi special education olympia, washington april 2008. 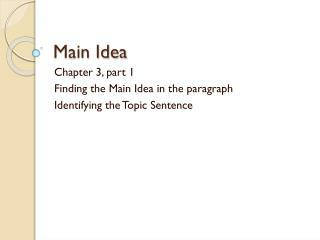 1. table of contents.